Hello there! 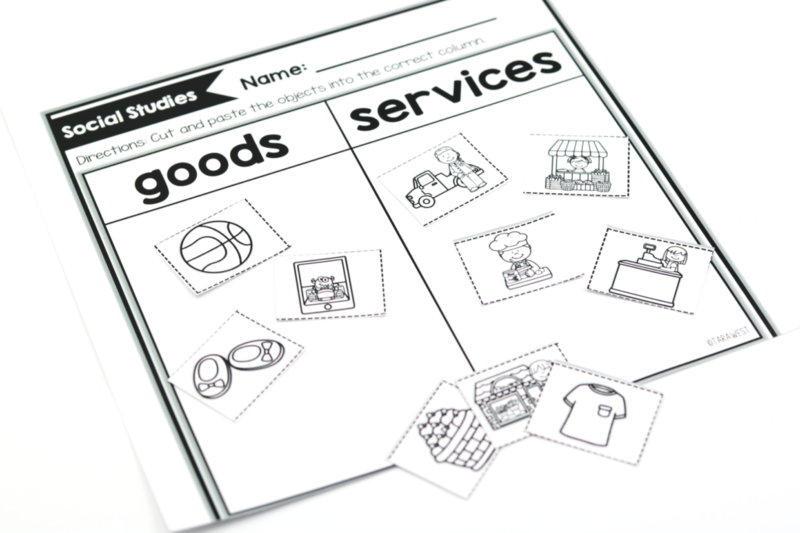 Today we are taking a little slice of our day to talk all about my kindergarten SOCIAL STUDIES curriculum! 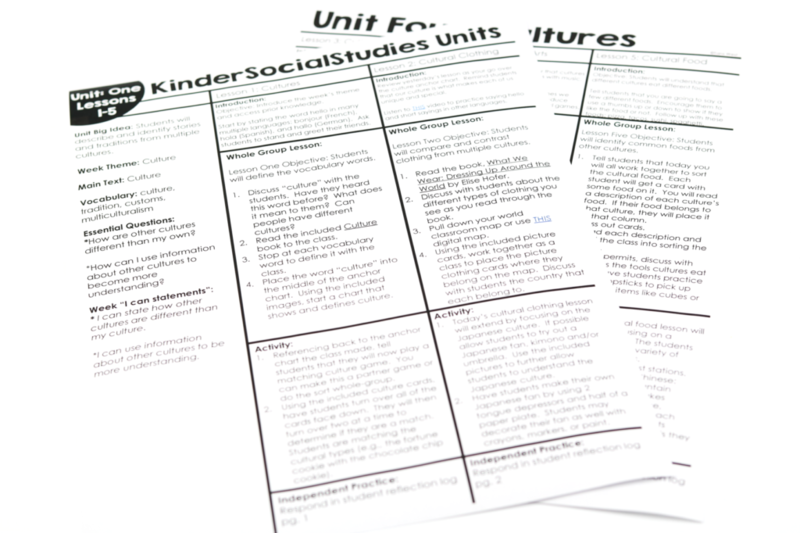 I am beyond thrilled to share with you my kindergarten social studies curriculum and give you an up close look at the units! Today I will share with you units 1-5! 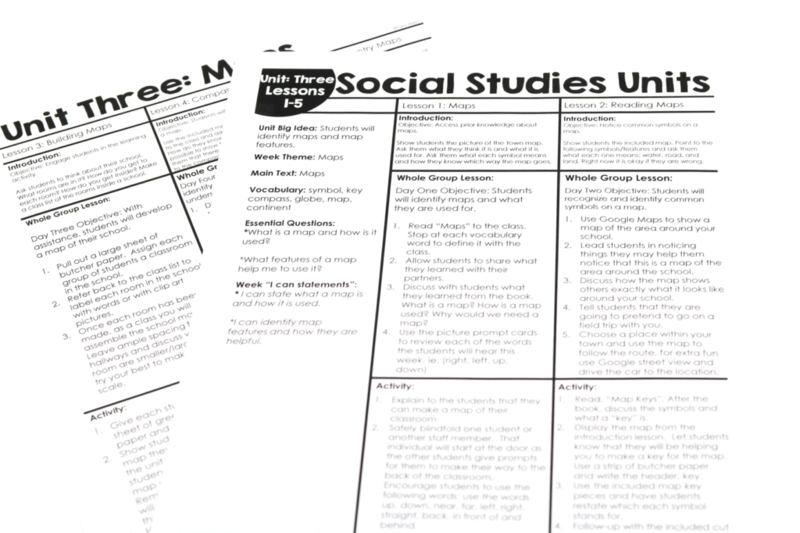 It’s a perfect time to snag the social studies units and get your feet wet with social studies! 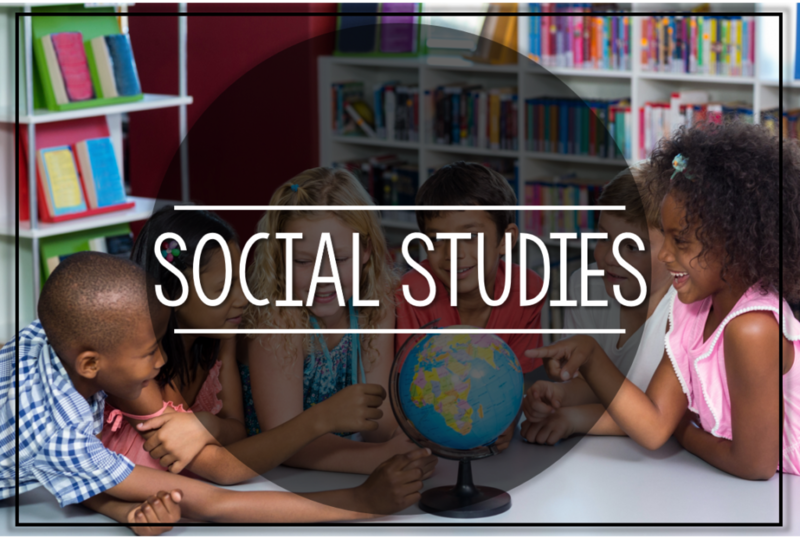 For far too long we have shoved social studies away! Hand raised high here, too! So, there’s no finger pointing coming from me! 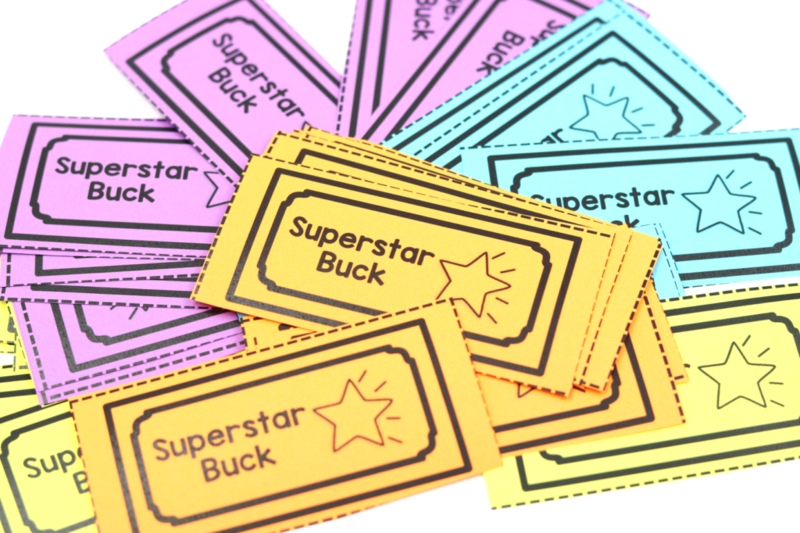 So as I started to get my curriculum programs out I was beyond excited to hear request after request for social studies… I just heard in my head, “It’s baaaaccccck!” I think to my own classroom and why/where it went! Well, there was the huge, “Math and ELA are all kids need to know now-a-days.” Hmmm! There was also the, “It’s okay just teach it at small-group reading and whole-group reading.” Yes, that is totally doable but is it really the same? 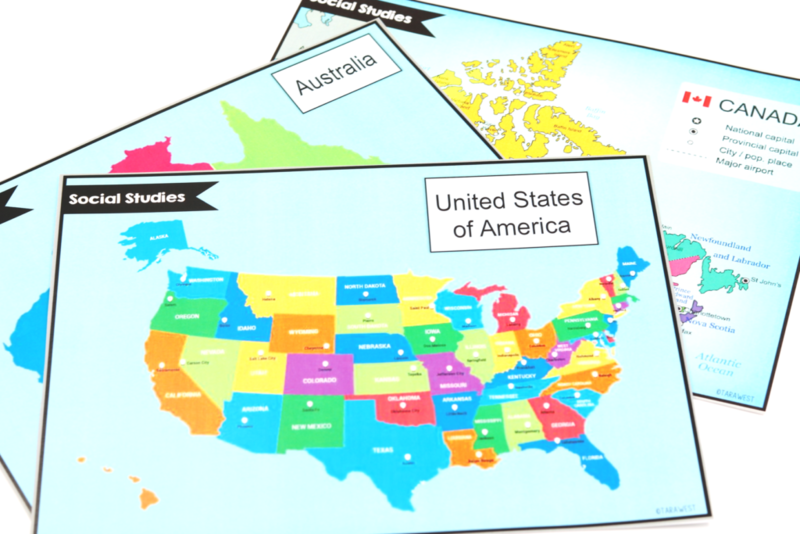 Then I flashback to my grade school years and social studies time was: open the book, everyone take turns reading aloud (YIKES) and morning daily geography! Now I’m sure I am not being fair because there were probably some memorable moments in there, ha! So I had an idea in my head of what I wanted and I went for it! 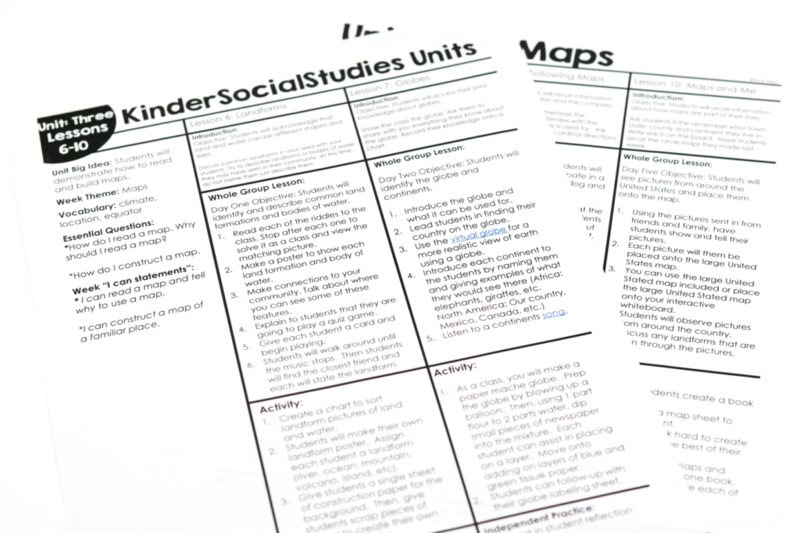 I am so excited how (Kinder) Social Studies turned out! 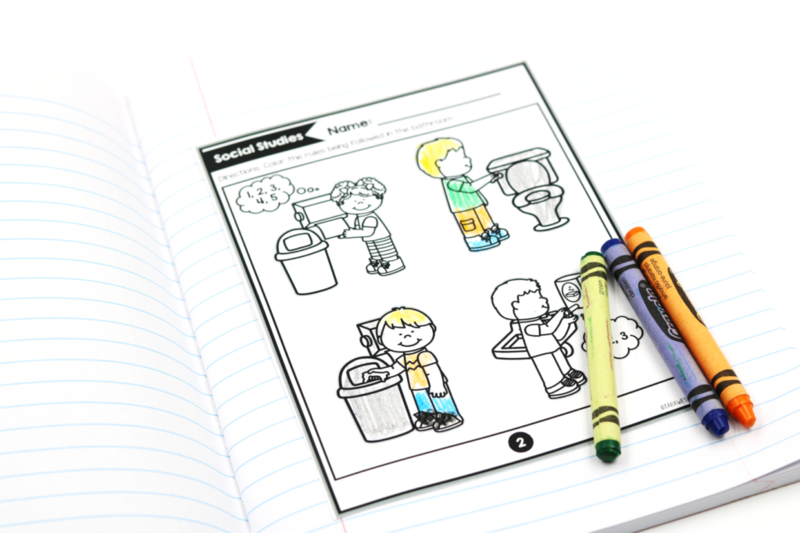 I seriously want to be the kiddos in the class learning these fun lessons! 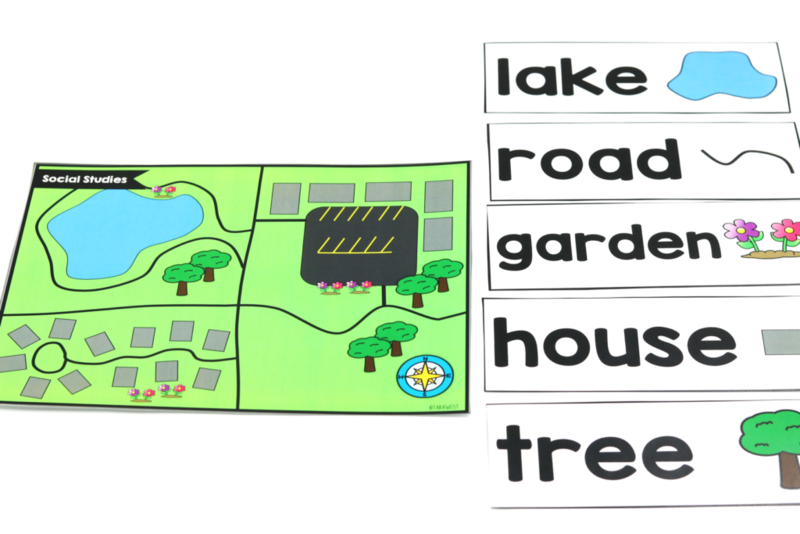 You will notice that I use parentheses around the word (Kinder) when talking about this curriculum! That is because this curriculum is designed for primary students in mind, NOT just kinder kiddos! 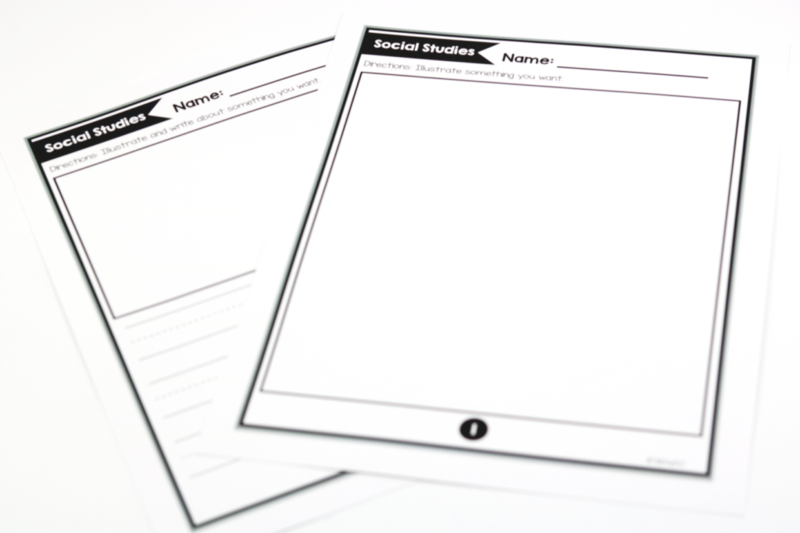 I have included two differentiated versions to all practice sheets. 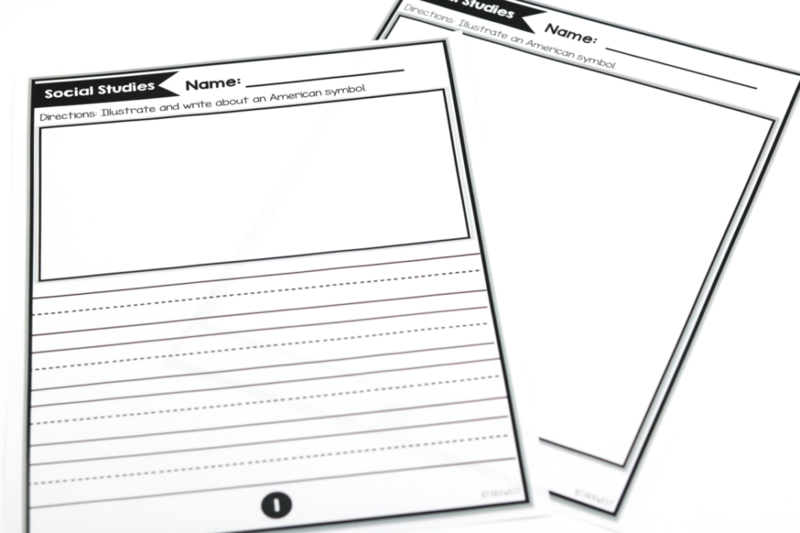 These two versions work for non-writers (coloring) and writers (writing 3-4 simple sentences). Please note that NO student materials and NO teacher materials have the “KINDER” name on them so you do not have to worry about this! As we get more into the units and you are more a visual learner- you can watch this video of me taking you through unit 1! 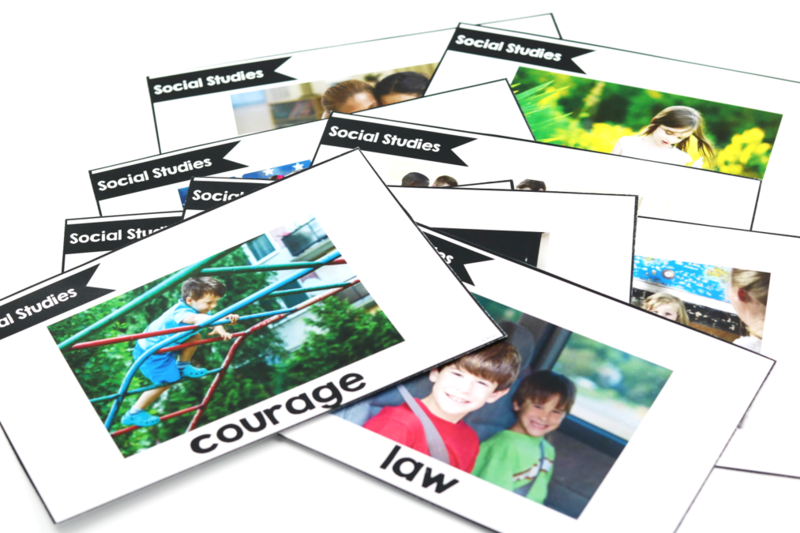 KinderSocialStudies Curriculum is a social studies curriculum for primary aged students. 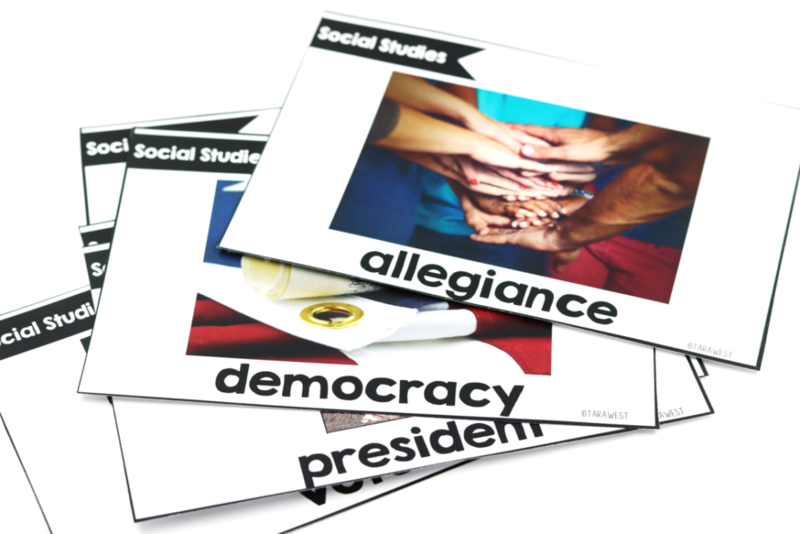 KinderSocialStudies is an engaging social studies curriculum with young learners in mind! 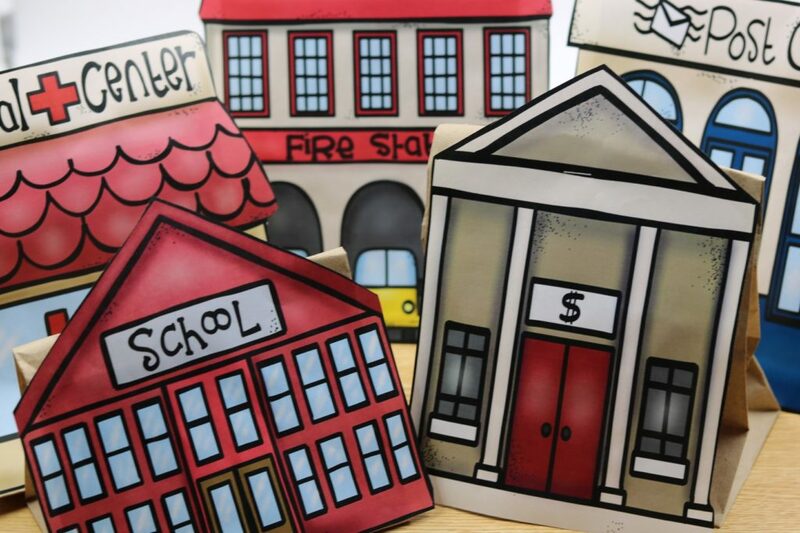 KinderSocialStudies encourages young learners to think “outside the box” and prove their thinking through hands-on and engaging learning experiences. 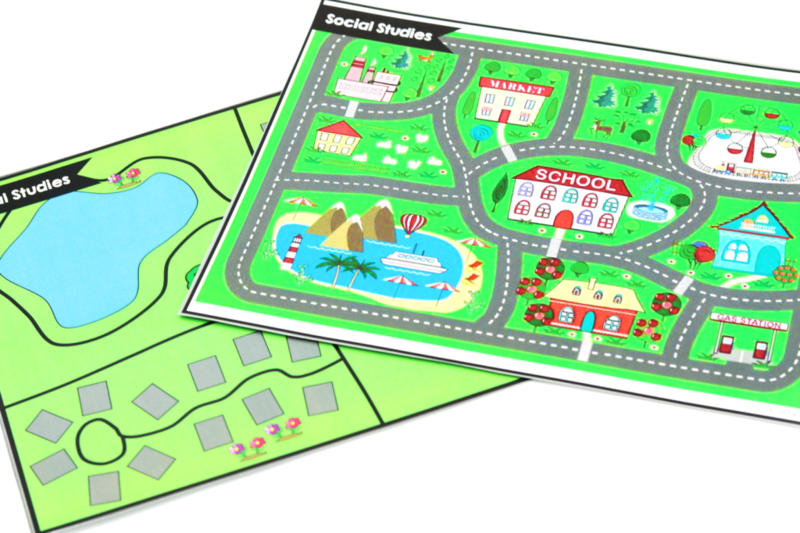 KinderSocialStudies is based upon five units: Rules, United States/Community Helpers, Maps, Cultures and Economics. 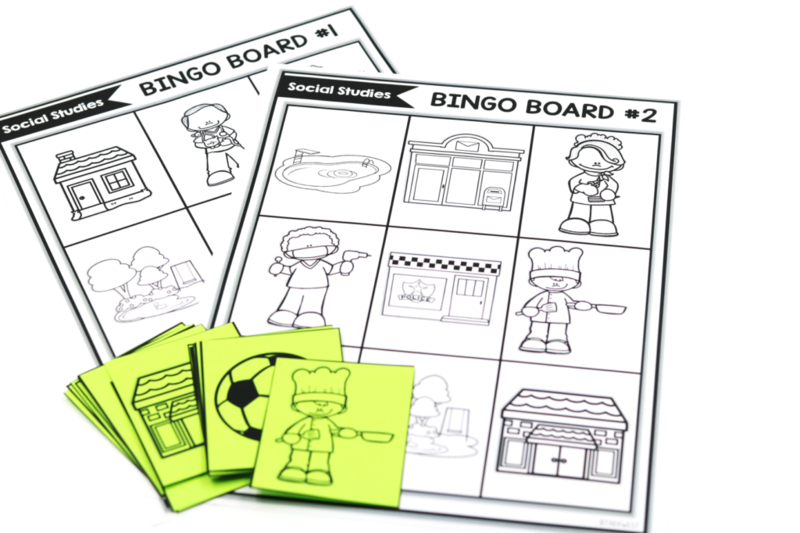 Each unit is broken down to 10 lessons and each lesson can take from 1-2 days to complete. This gives you 50+ days of instruction. The units cover at least two weeks of instruction. 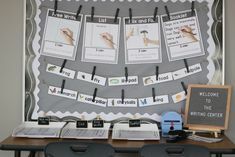 The lesson plan has the listed objective, “I can” statement, vocabulary, detailed activity lesson plans and all necessary student follow-up practice sheets. 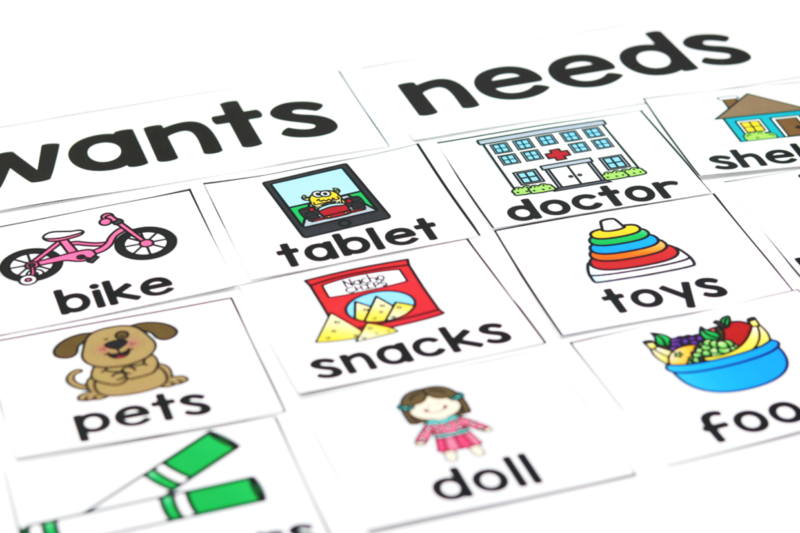 KinderSocialStudies encourages a daily routine, but please know that as the teacher you can adjust the lessons and make them best work for your daily schedule and time allotment. 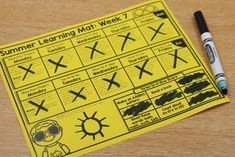 Within each lesson the students will partake in a quick lesson opener, whole-group skill lesson and the students will take part in a follow-up task. 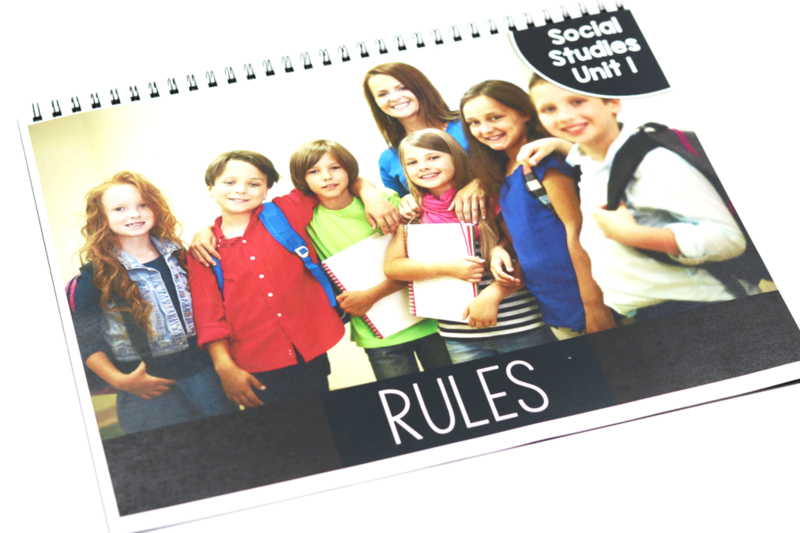 Please note that all student follow-up practice sheets can be shrunk and placed into a student journal. 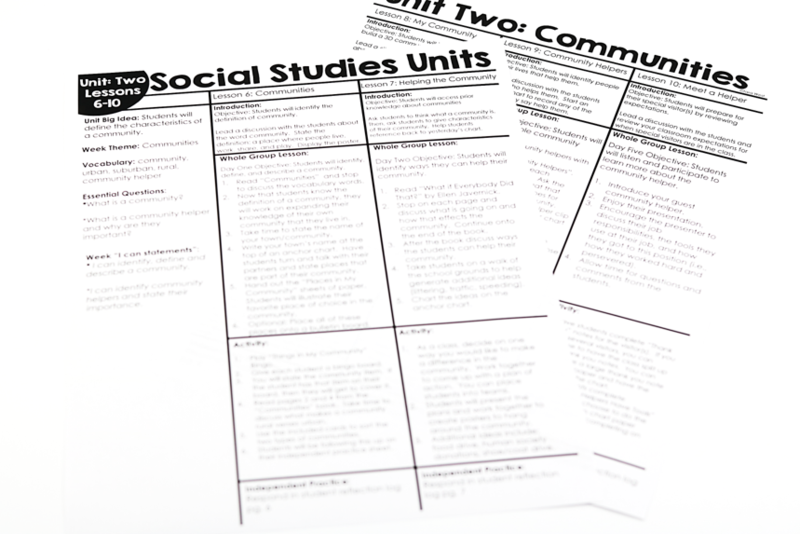 All of the follow-up sheets are also differentiated so that you can use these units anytime during the school year, and they will be applicable to your writers or nonwriters. 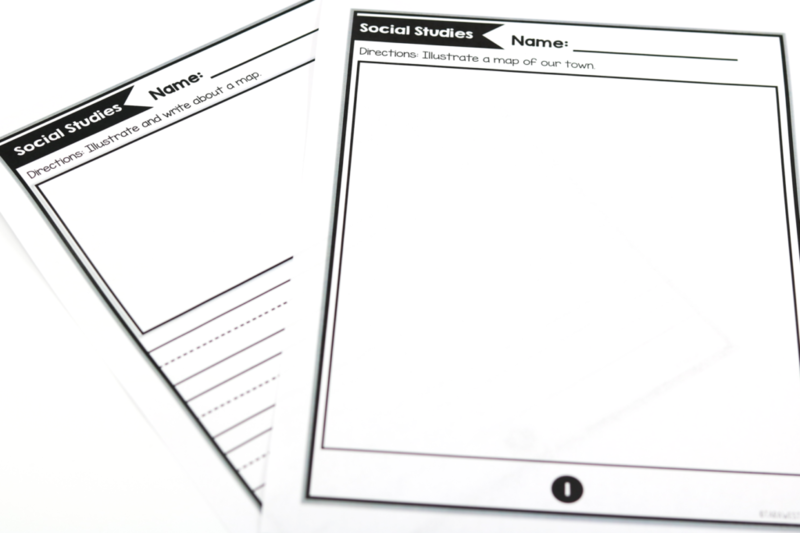 You can also choose to have students track their daily activities in their journal with or without the included response sheets. Let’s get into the units! 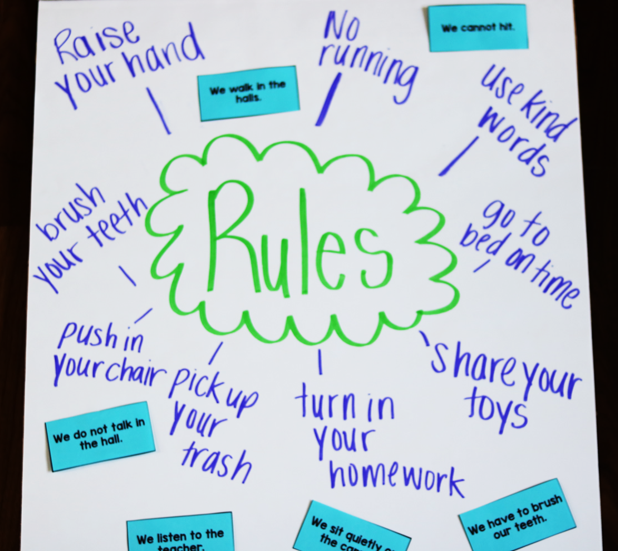 Unit 1 is all about rules and laws! Basically we are learning all about how to be a good citizen and the quality characters of citizen! 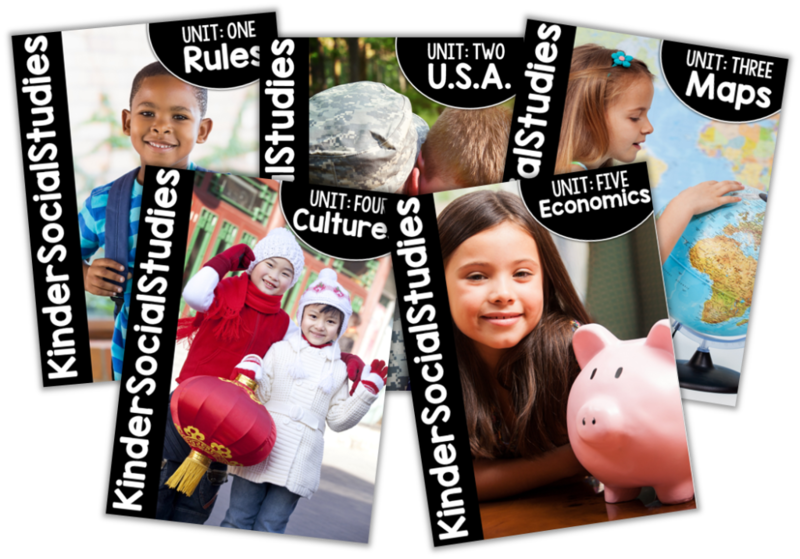 Here is an overview of the lessons in unit 1! 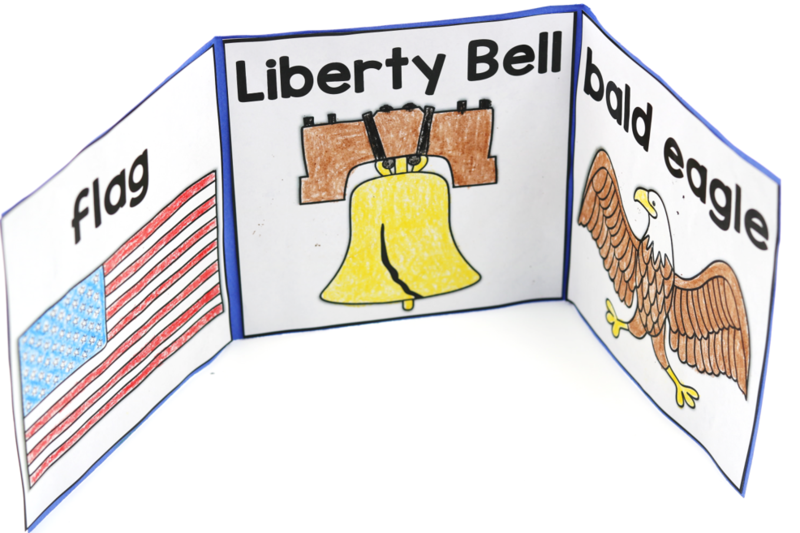 Unit 1 includes an included interactive OR custom printable book! 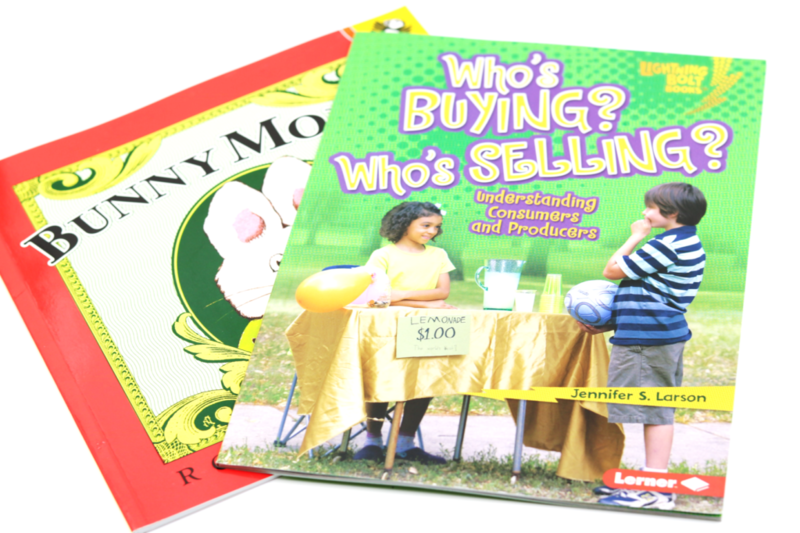 These books are written for the curriculum so they contain the week’s vocabulary words! 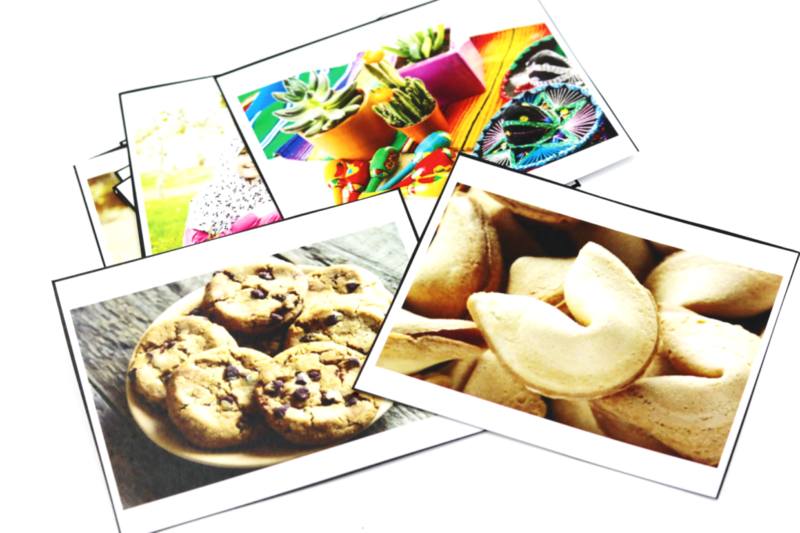 The vocabulary words have included “real-life” picture cards included within the unit! Unit 1 of the social studies curriculum uses a few AWESOME read alouds! 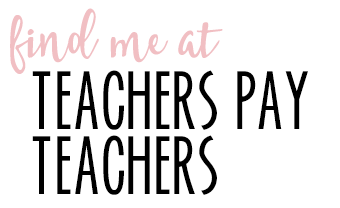 I have included free online view links for all of the books in case you do not own them or can’t get your hands on them! 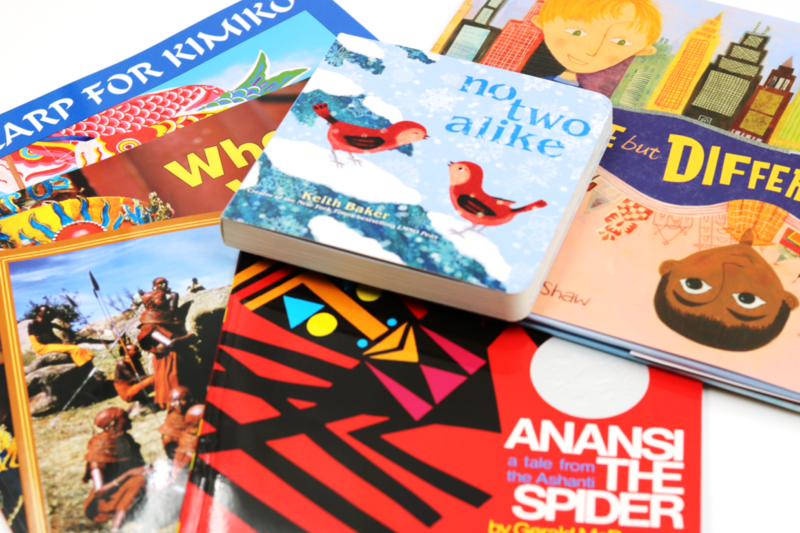 The books are really great for the start of the year and all have paired activities within the curriculum! 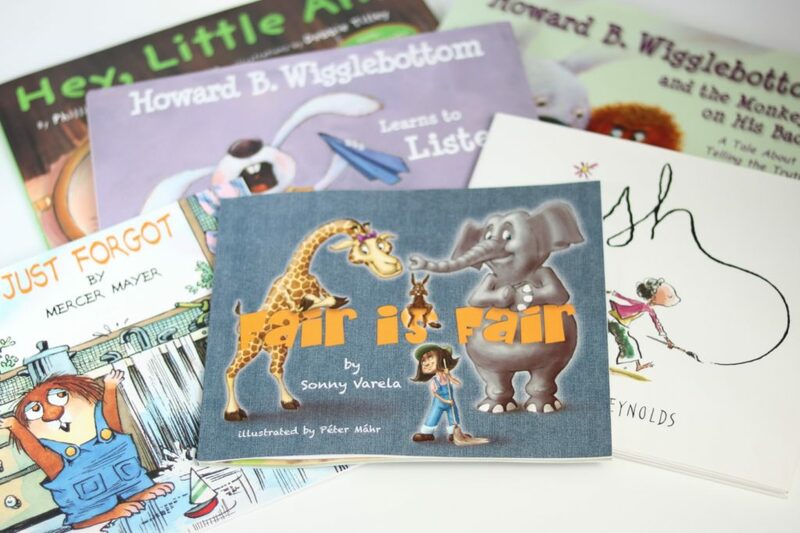 All of my curriculum programs pair with literature and OH THE LEARNING that blossoms! 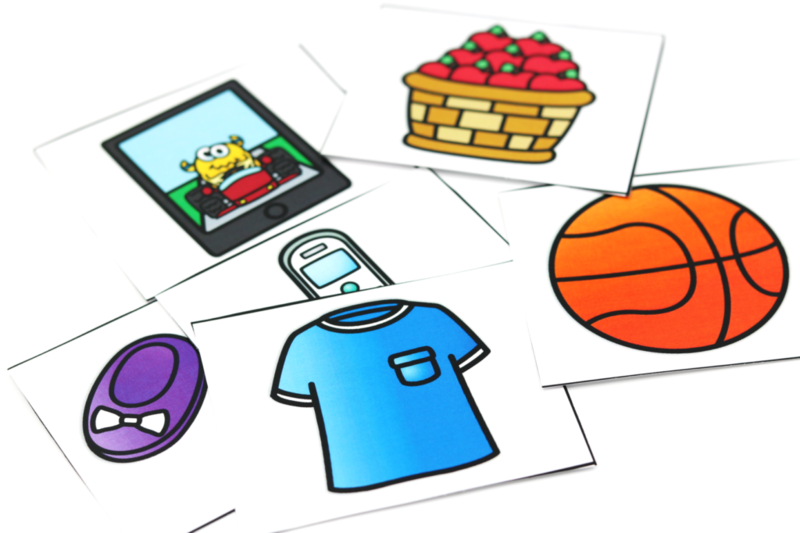 Below is an example of an included paired text activity for the students to follow up with! 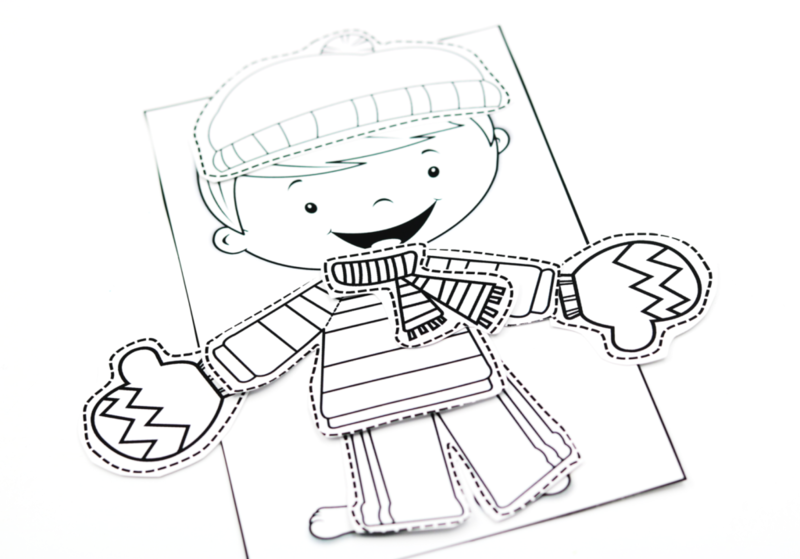 You can do this in a pocket chart whole-group or down at the carpet! As I mentioned above, all of the student practice sheets are differentiated! 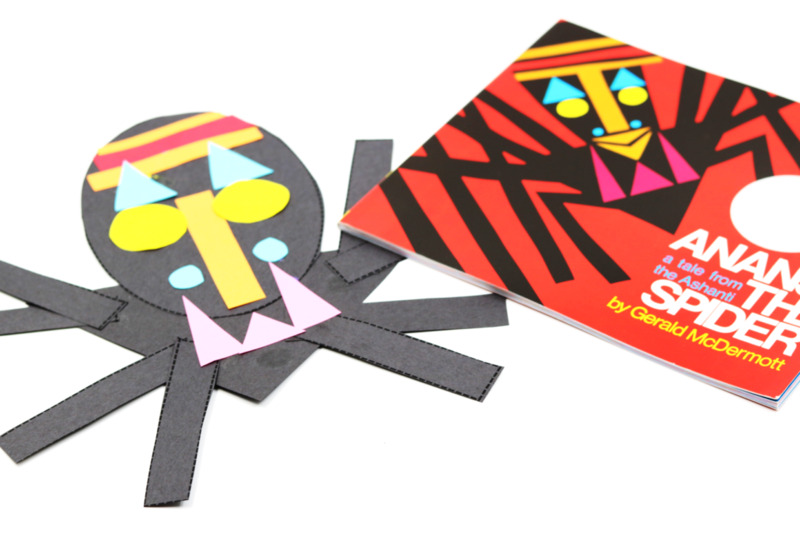 That means there are TWO versions for each sheet! 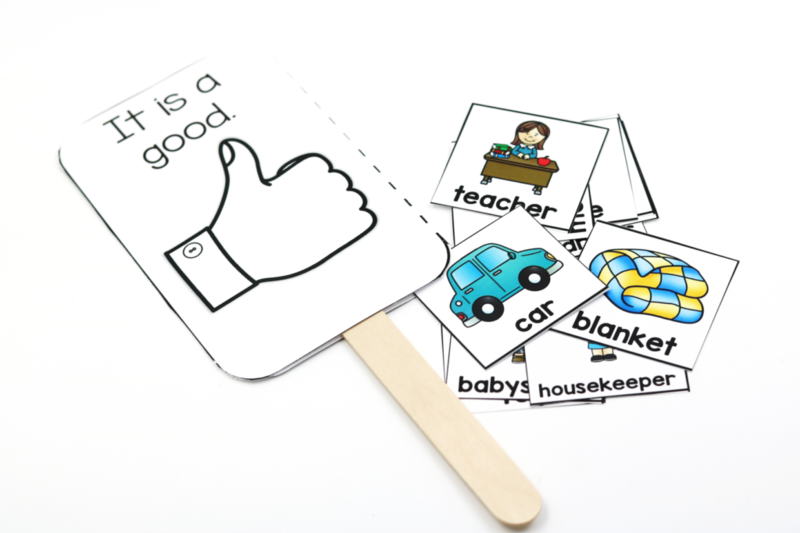 You can choose between the two for what words best for your kiddos! 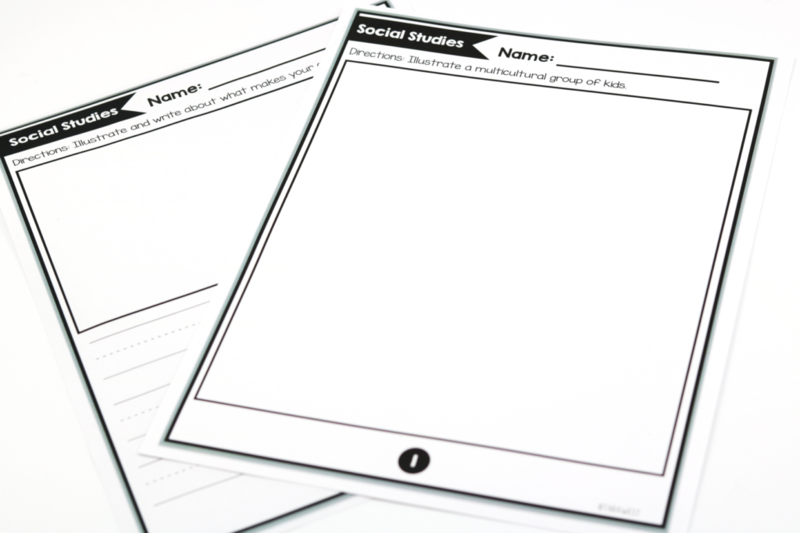 You might also choose to print the worksheets in a scaled down version and have the kiddos keep a social studies notebook! In unit 1 we work on the definition of fair! 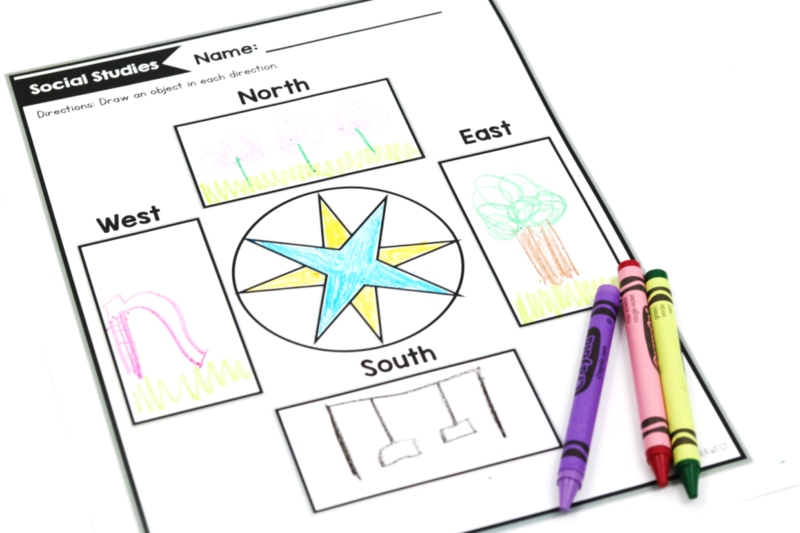 This is an included activity that you can do whole-class or the kids can do with a partner! They are working on pairing the correct amount of food to the animal- fair is getting what we need, not what we want! 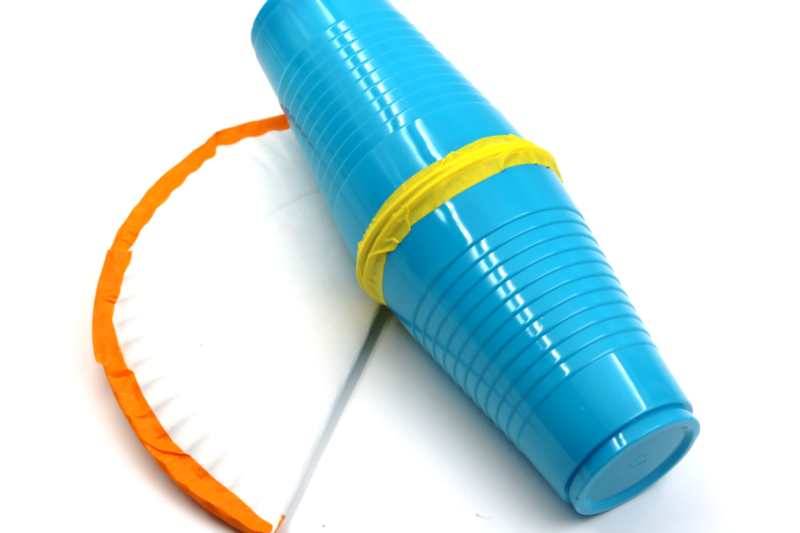 In all of the lessons, I have included MANY options for teaching the skill! 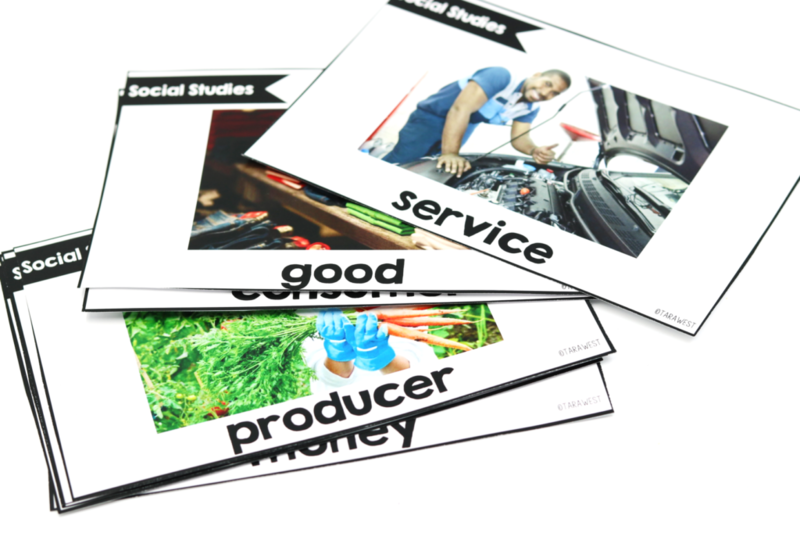 This allows you to choose what best fits your students. 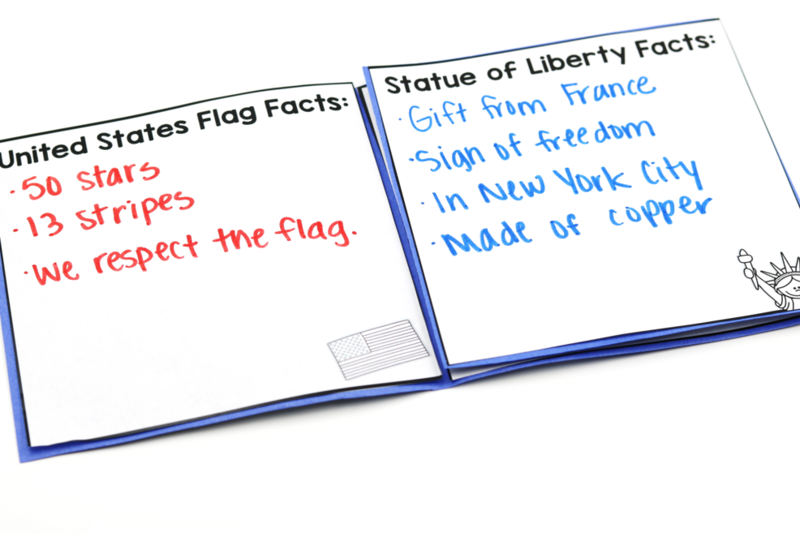 Below is a look at an included activity in the laws lesson! 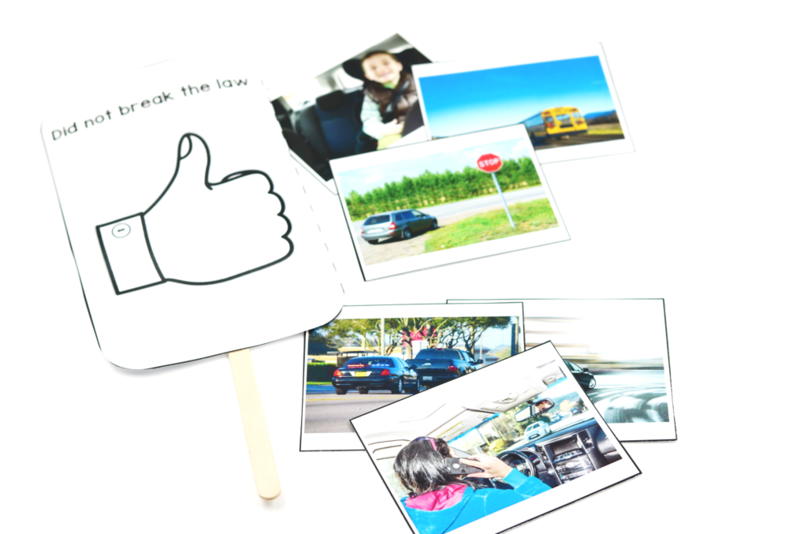 Using the included mat, students will work on following the stop sign law! 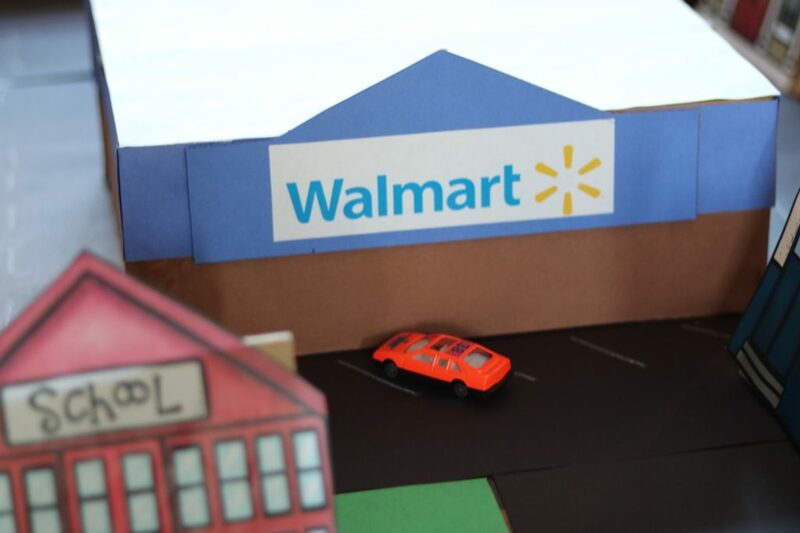 You will have them come up front and use the toy cars and demonstrate how each follow the law and why it is important….(CRASH)! 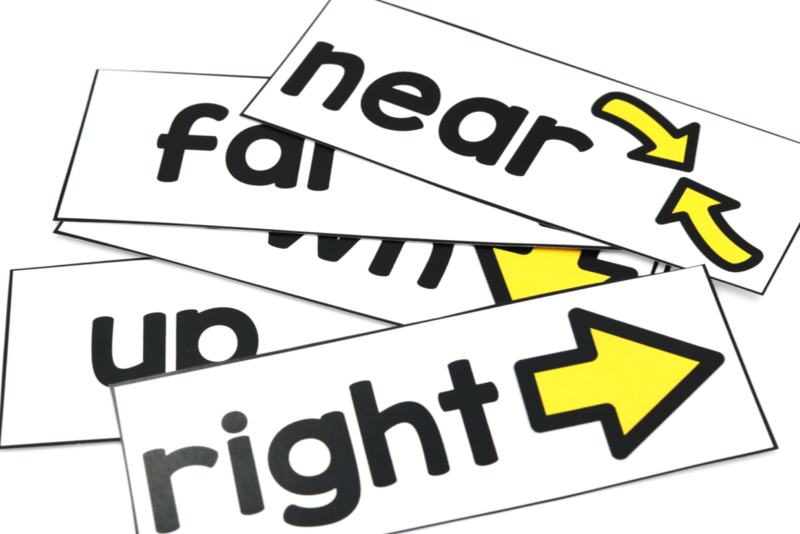 We discuss the difference between rules and laws! 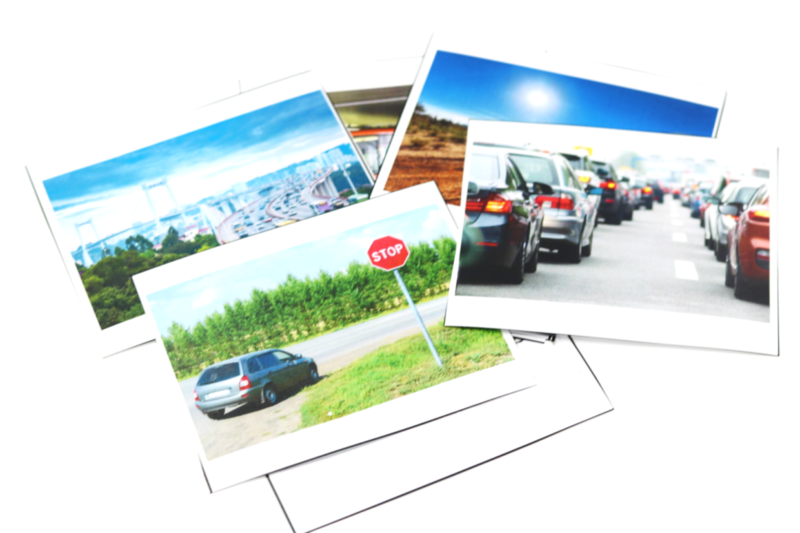 We then look at “real-life” pictures and decide if a law has been broken! 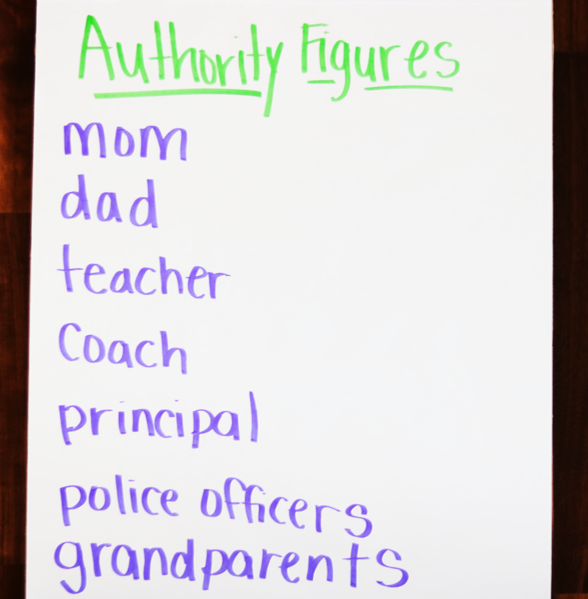 We also discuss who the authority figures are in our lives and why we must respect them! 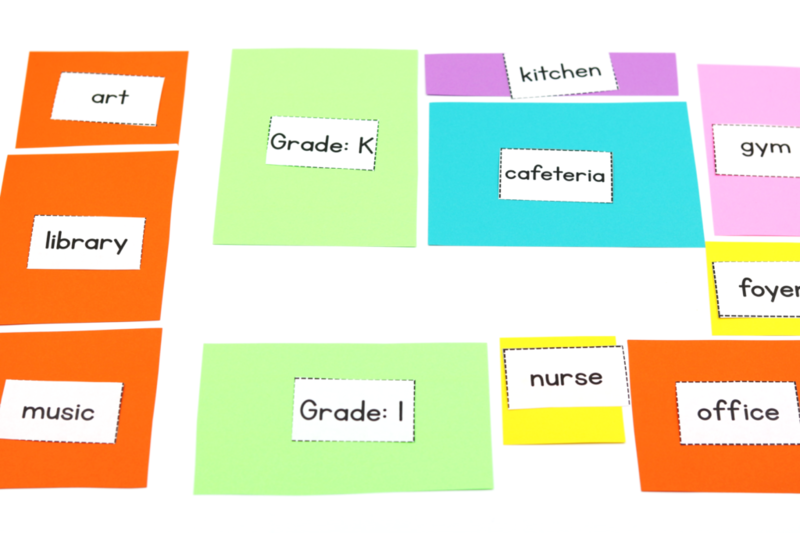 Below is a look at a way to organize unit one! 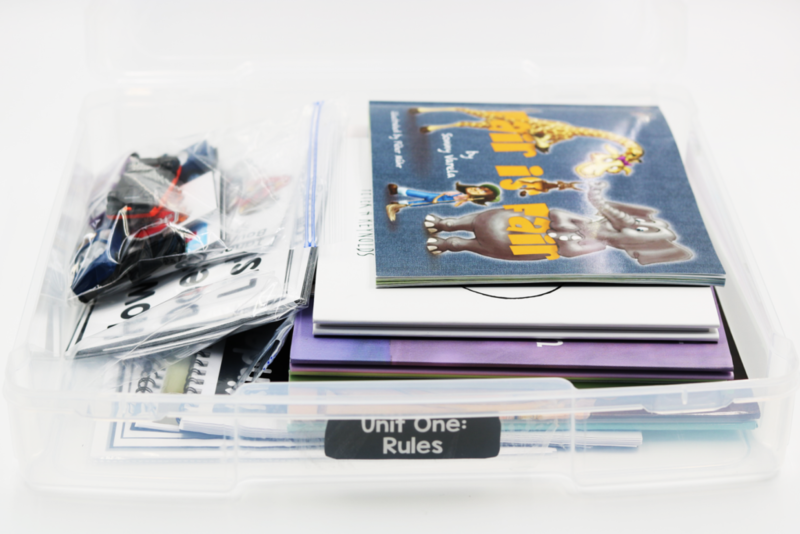 All of the lessons, included custom book, tradebooks, cards and necessary extra pieces all fit nicely into the IRIS box! 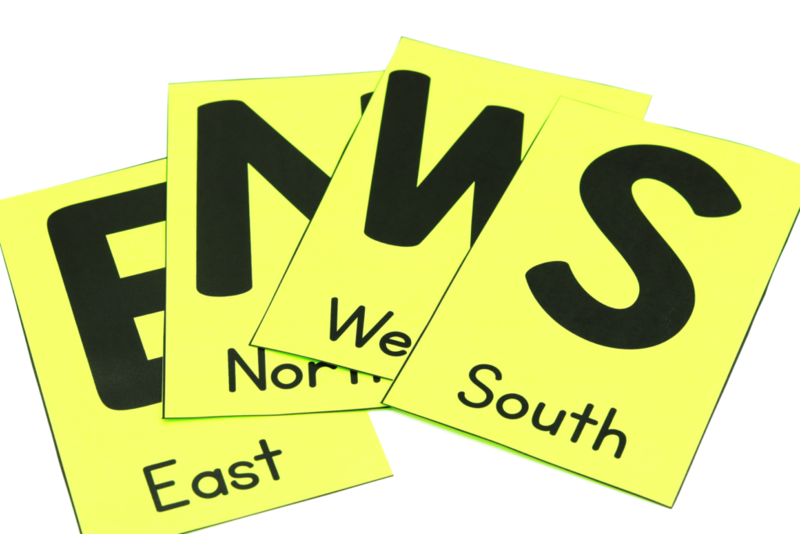 The labels are included within the units as well! Let’s take a look at unit 2! Unit 2 is really two units in one! 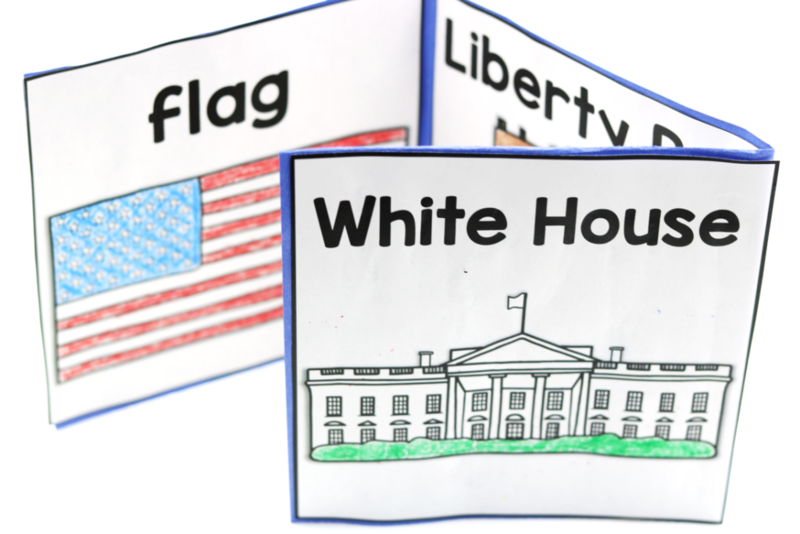 You see week one is about the USA (symbols and presidents). Week 2 is not specific to the USA and works well for any classroom learning about their community! 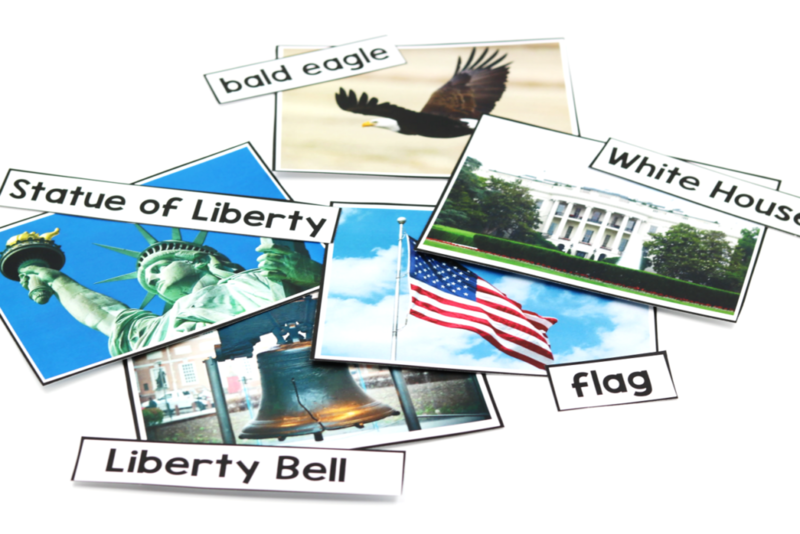 Unit 2 starts out with introducing students to American symbols! 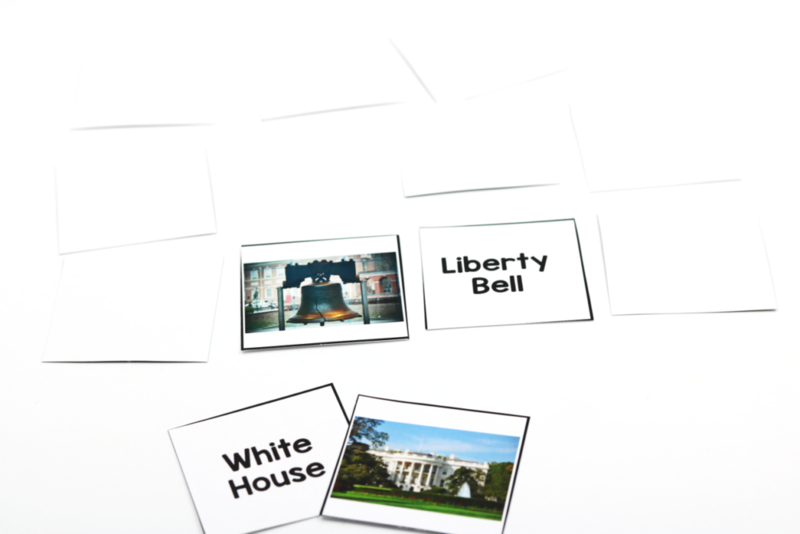 The students work on labeling each of the symbols as well. 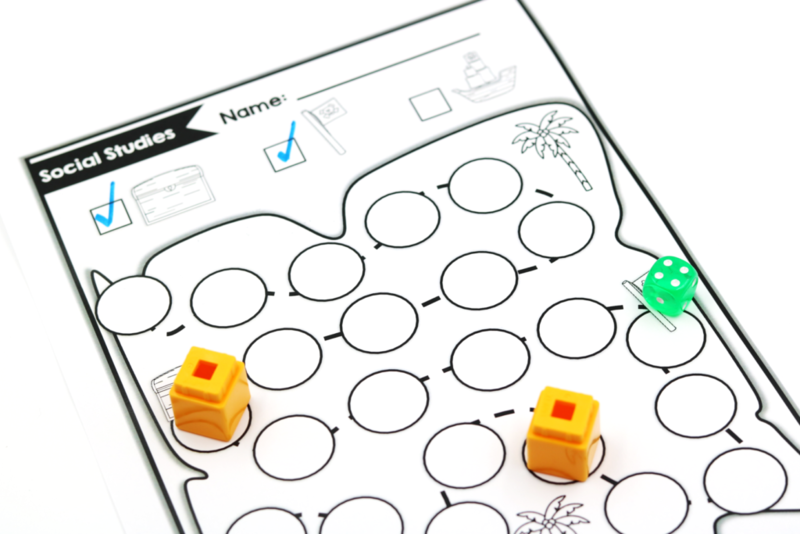 There’s am included symbols memory match! 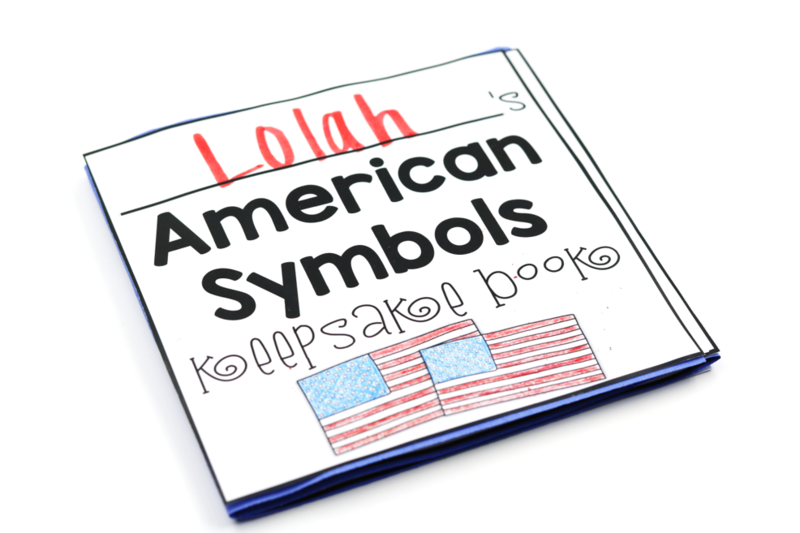 The students then work on their own little American symbols memory keepsake books! As I stated above, all of the practiced sheets are differentiated! You get two version of each to choose from! 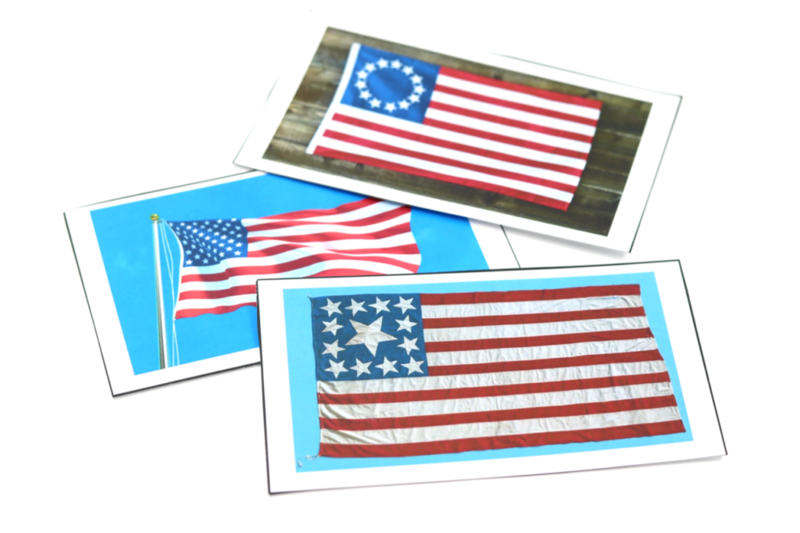 The students learn about the history of the American flag! 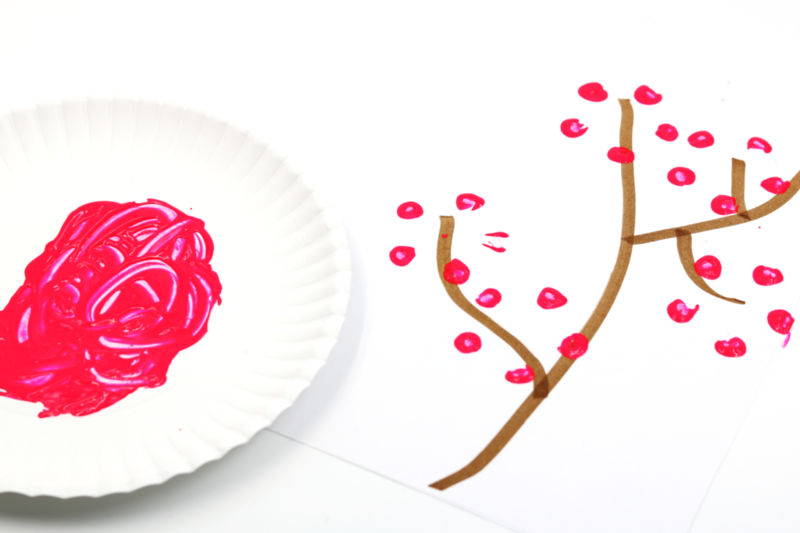 There’s an included tissue paper craft. Next, we go into the role of the president! 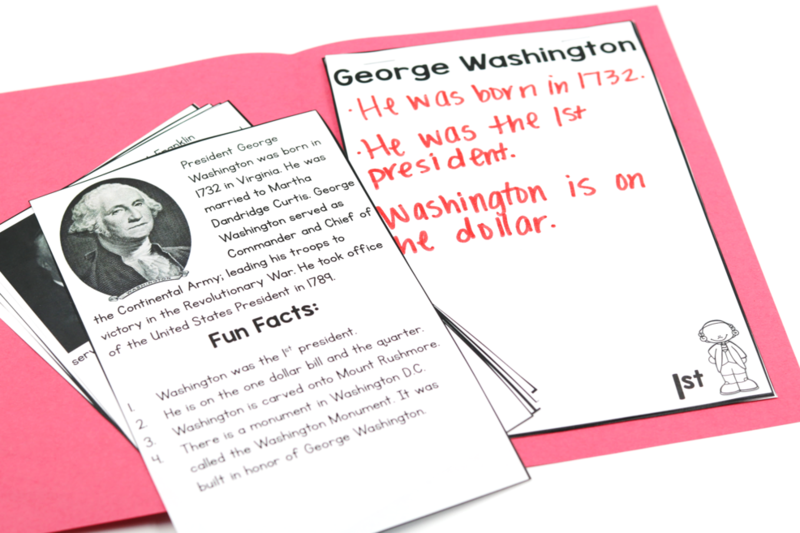 You can have students generate ideas prior to reading the included book! 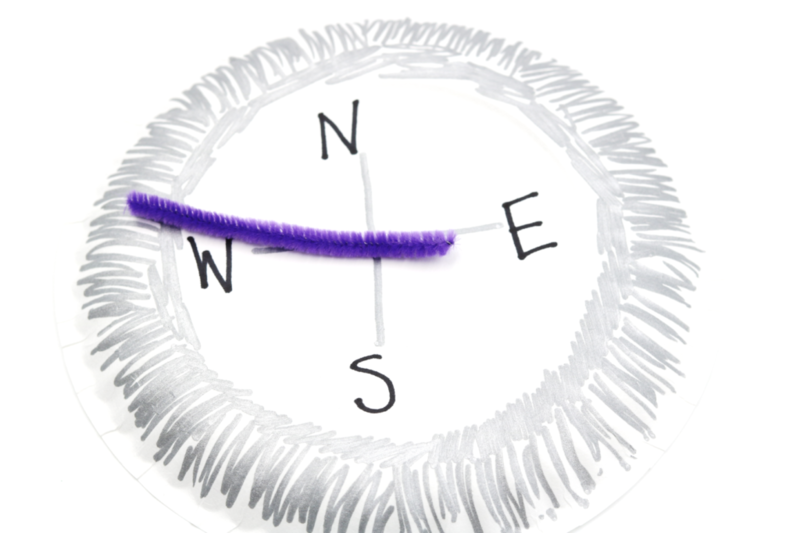 Once you have read the book, you can go back through and circle their jobs! 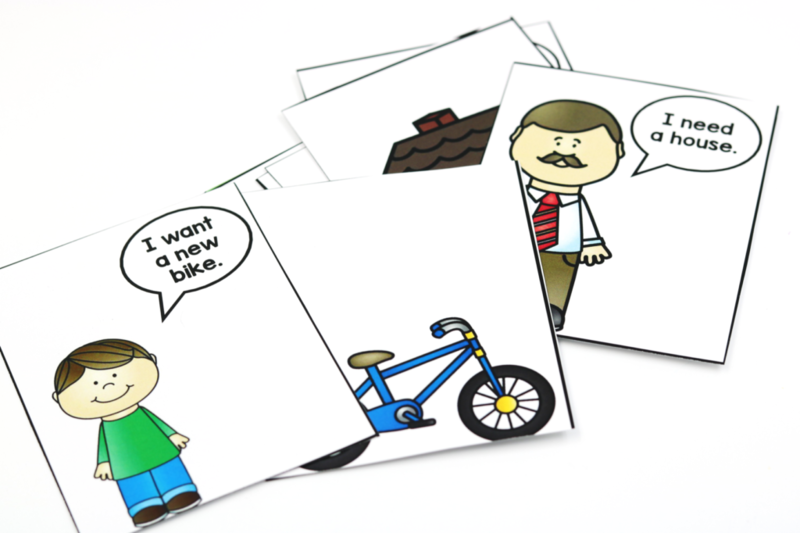 The custom written books also include vocabulary and the included cards are presented as well with “real-life” pictures! 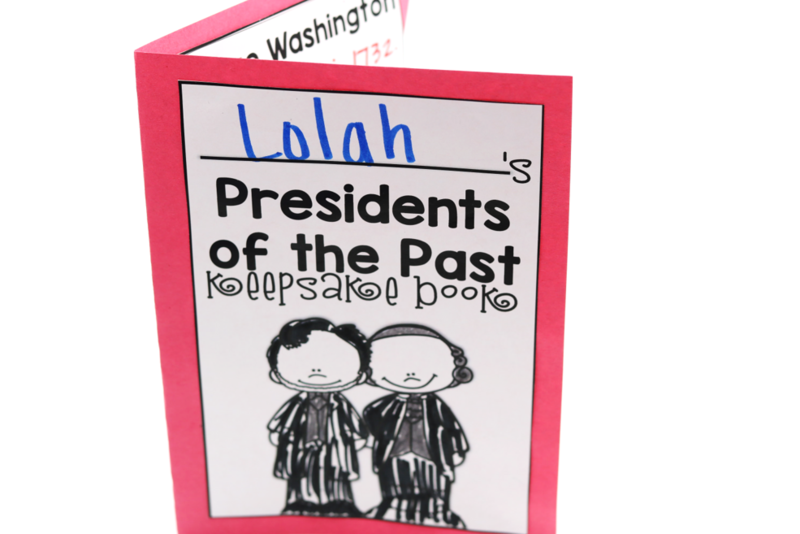 During the president’s lessons, the students will create their own president keepsake books! 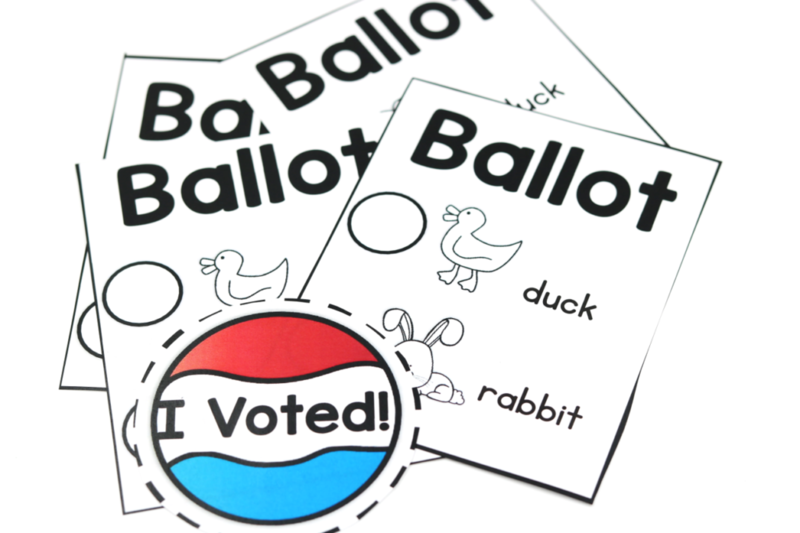 During this week the students will also learn about American democracy and put it into action by taking a vote on the book, Duck! Rabbit! 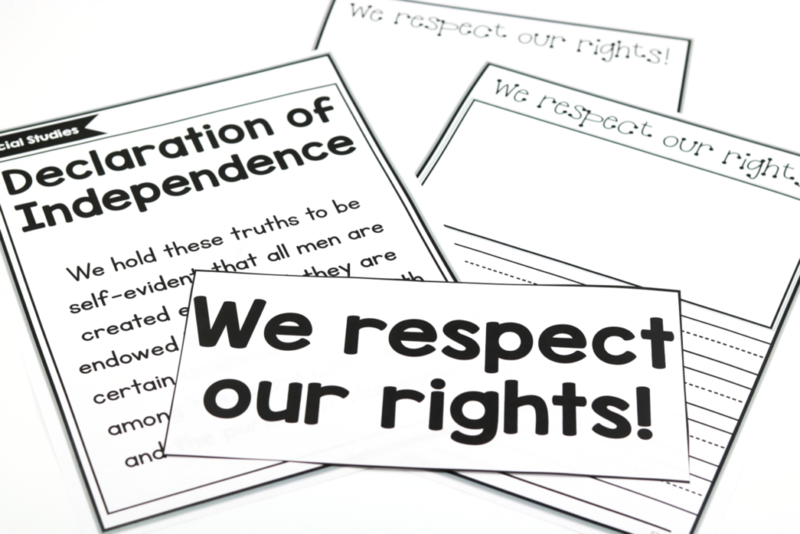 This unit concludes with a study on respecting our rights! As I mentioned above, week 2 is like a completely different unit within itself! 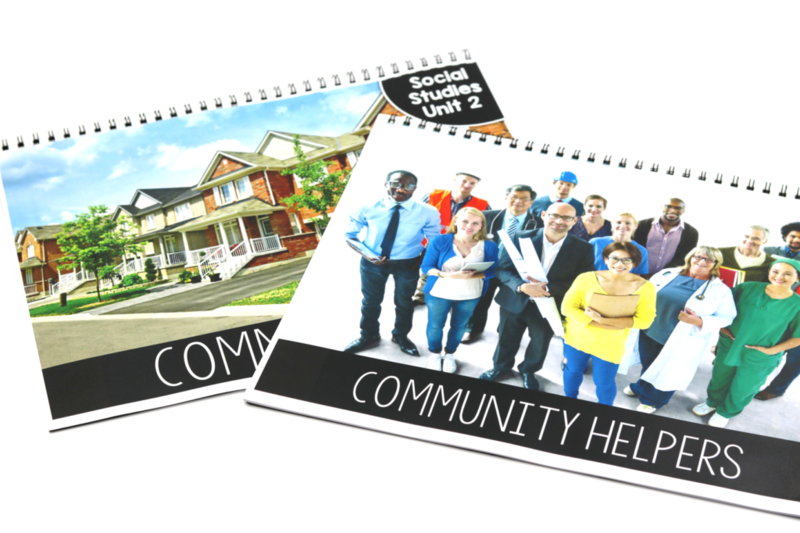 Week 2 is all about communities! 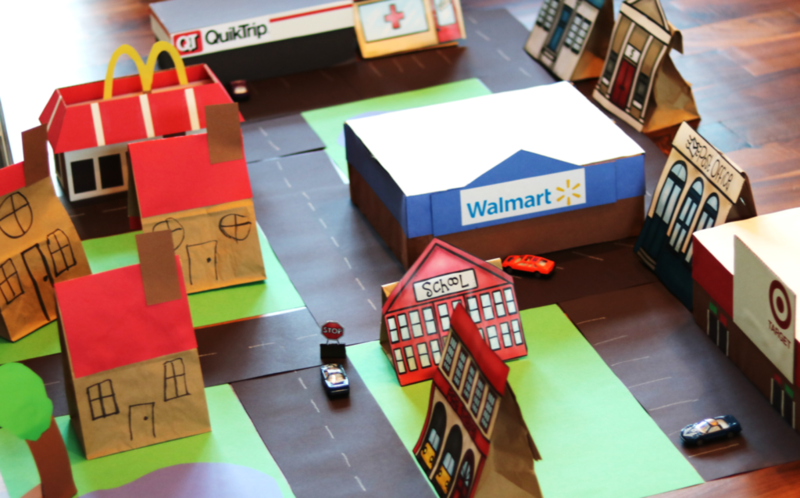 The students will be reading about what makes a community and then the focus will turn to community helpers! 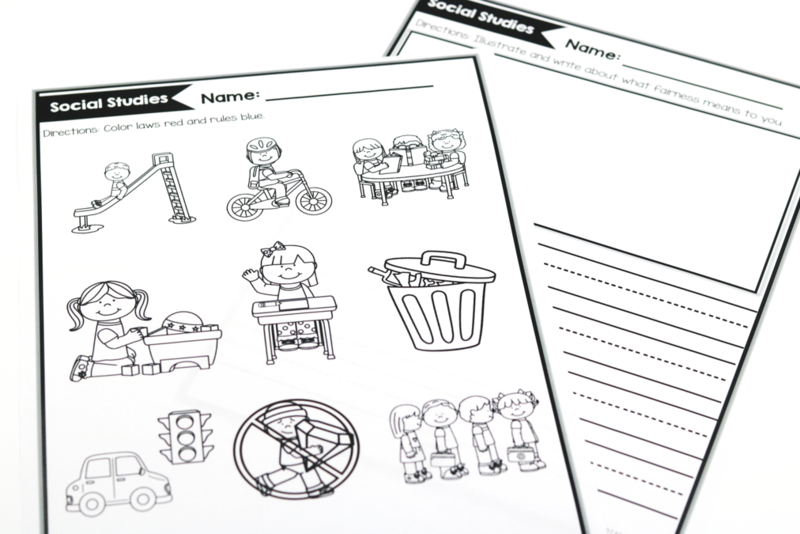 A look at the two page spread of lesson plans! 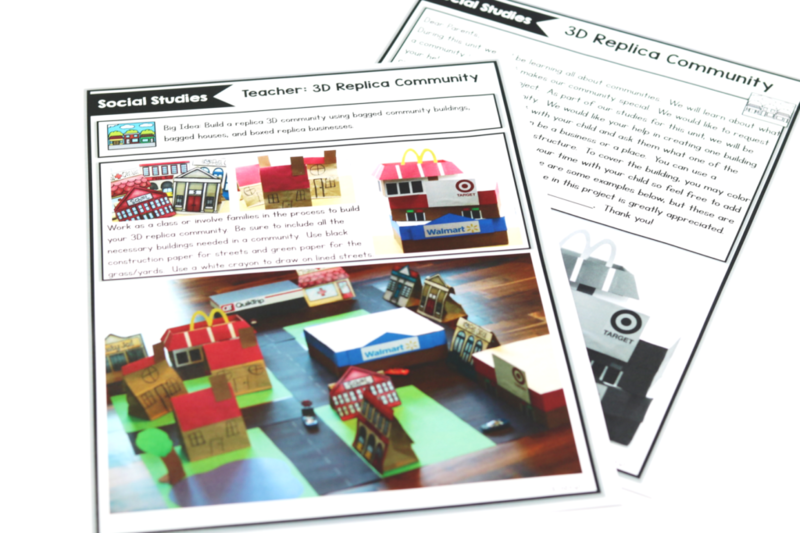 In unit 2 the students will be working alongside you and possibly a home/parent connection as well to create a 3D replica community! 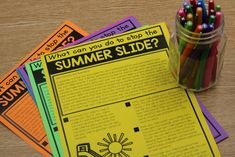 I have included teacher instructions and a parent letter if you should choose to involve families! Below you can see an example of the replica community! 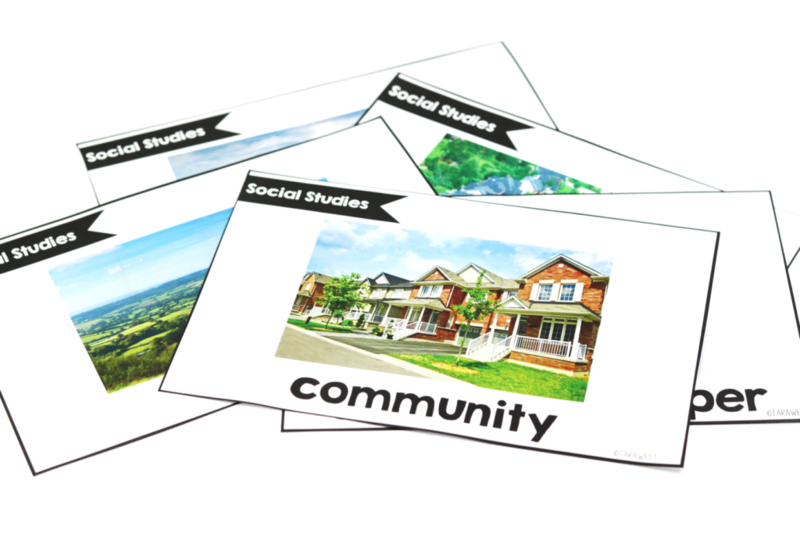 You will work with the students to decide what exactly a community needs and the make sure those are added! 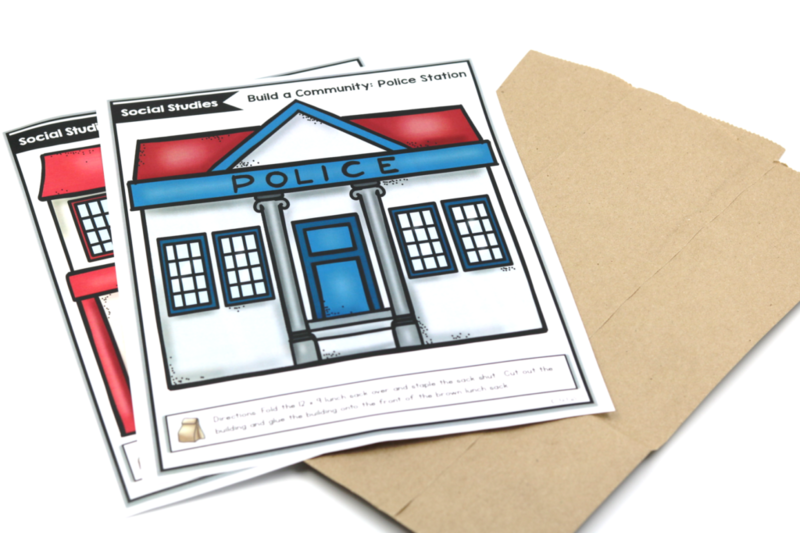 If you have partial parent involvement, you could send home the classroom “bagged” community buildings and a lunch sack for those parents to complete with their child! 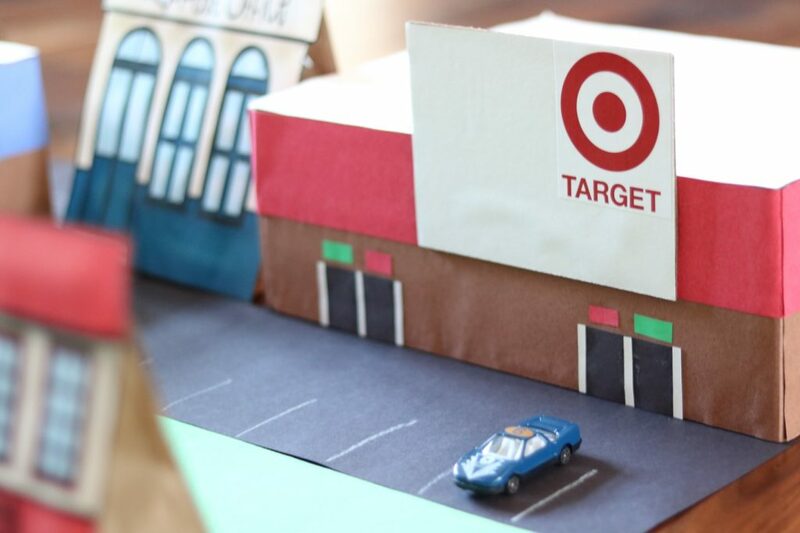 The “bagged” building are included! 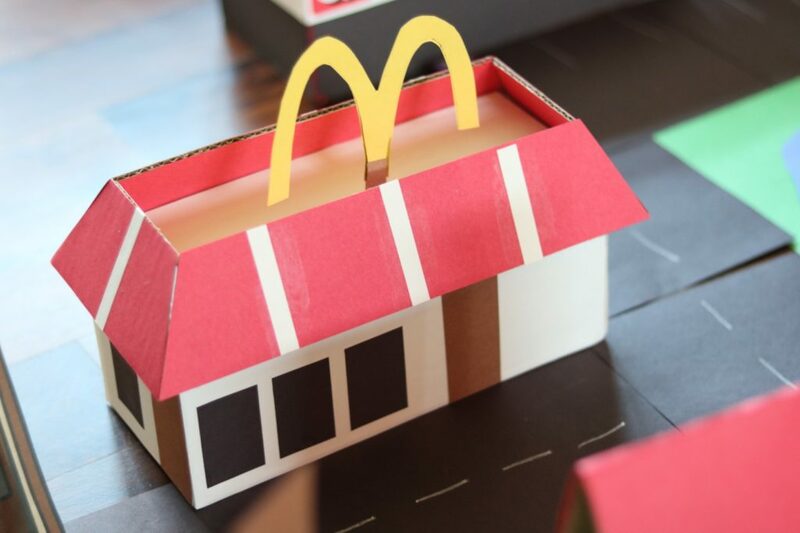 Students can make the homes in class! 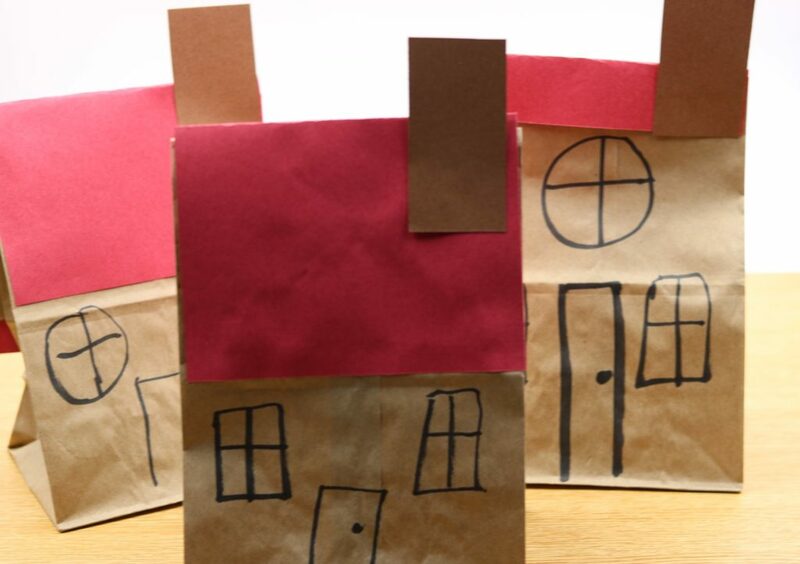 You will simply fold and staple the bag and they can then decorate it with a roof, chimney, door, windows, etc. Let’s take a look at Unit 3! 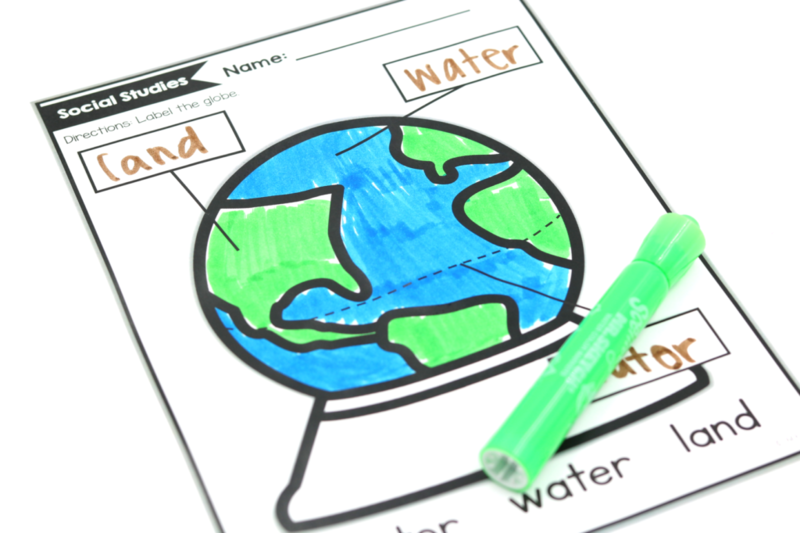 Unit 3 is all about maps, landforms and climate! Unit 3 contains ten lessons! 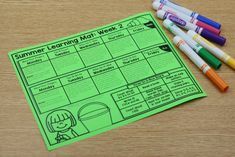 The lessons are meaty enough to make it through 1-2 classroom days! 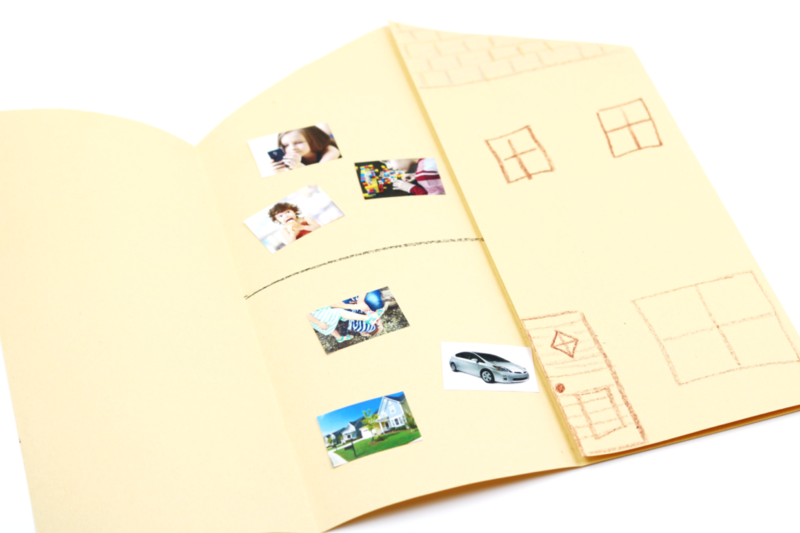 Each of the units also contain their own custom written book! 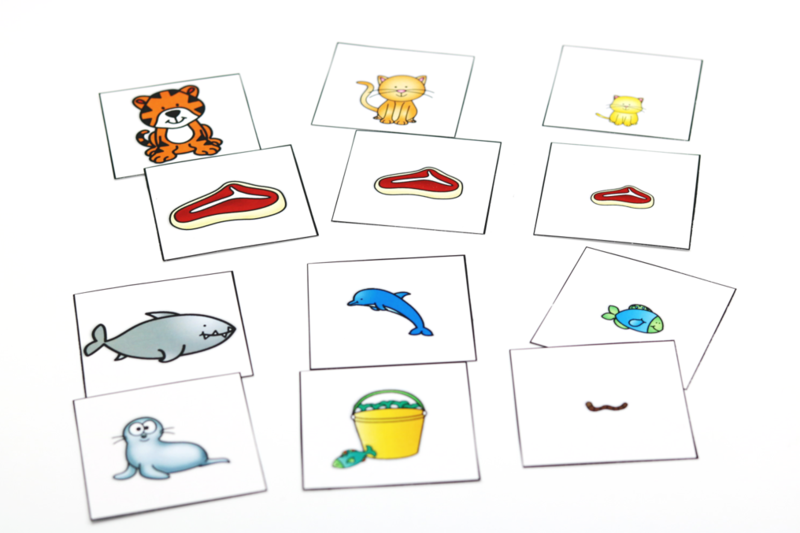 Unit 3 also contains included vocabulary cards. 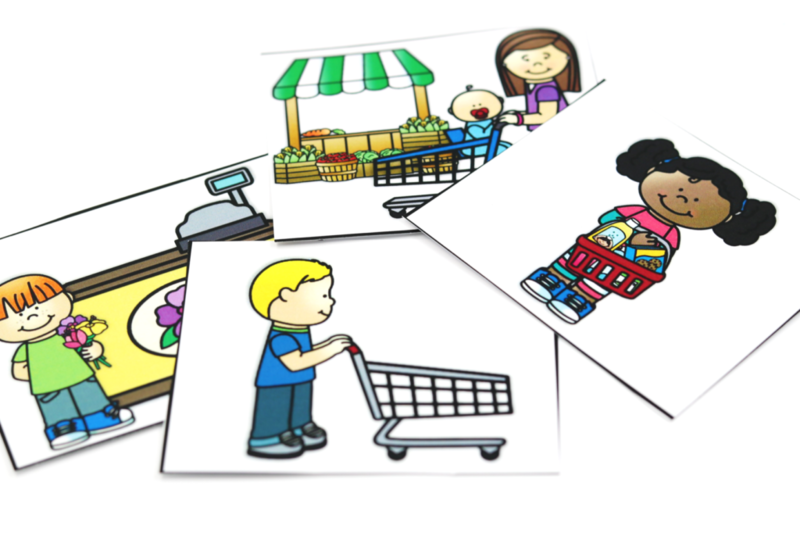 Differentiated printables are included! There is a kinder (color) version and firstie (writing). 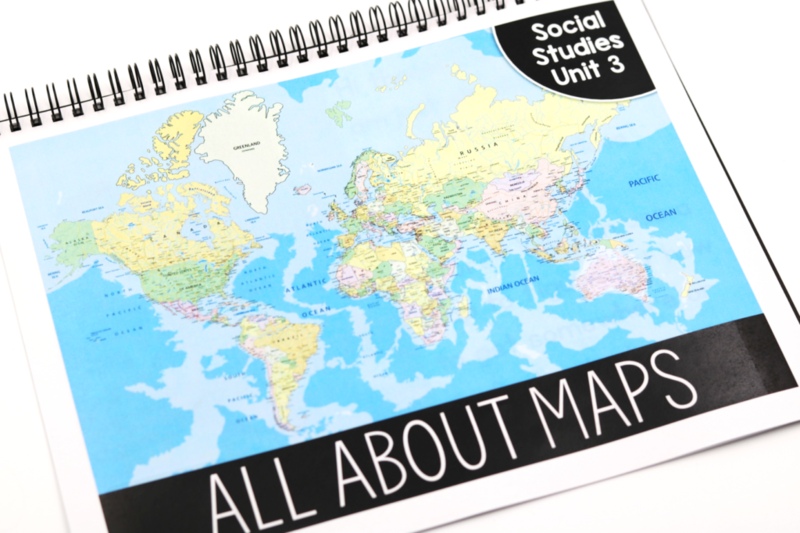 In unit 3 students will be studying maps and globes! I snagged this mini globe from Amazon! 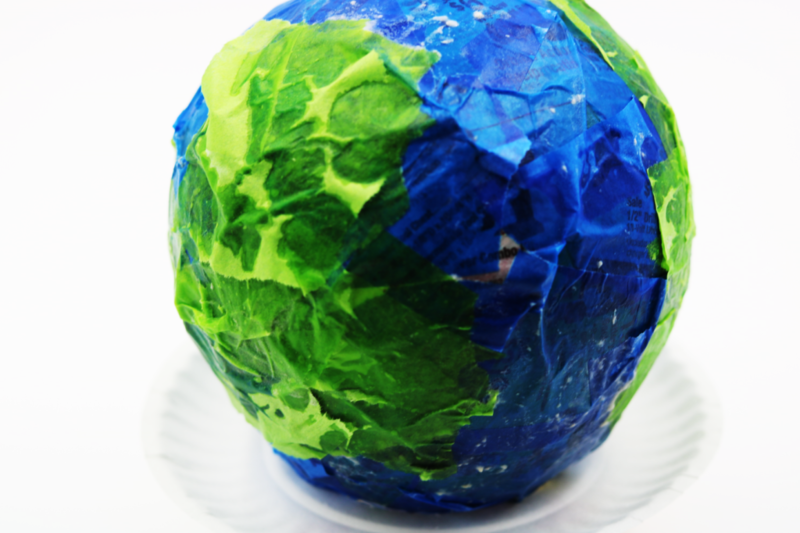 The kiddos will also make their own globes using a balloon and paper mache! Unit 3 utilizes rich texts to expand the learning. 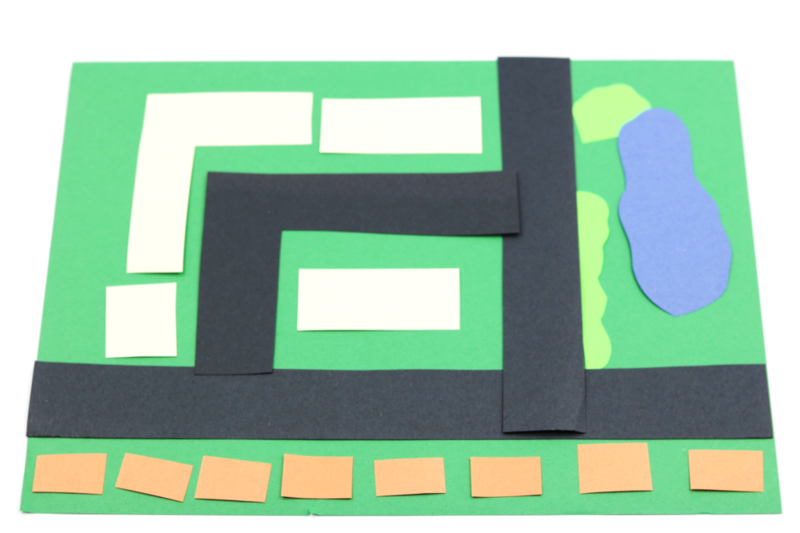 We also make our own maps! 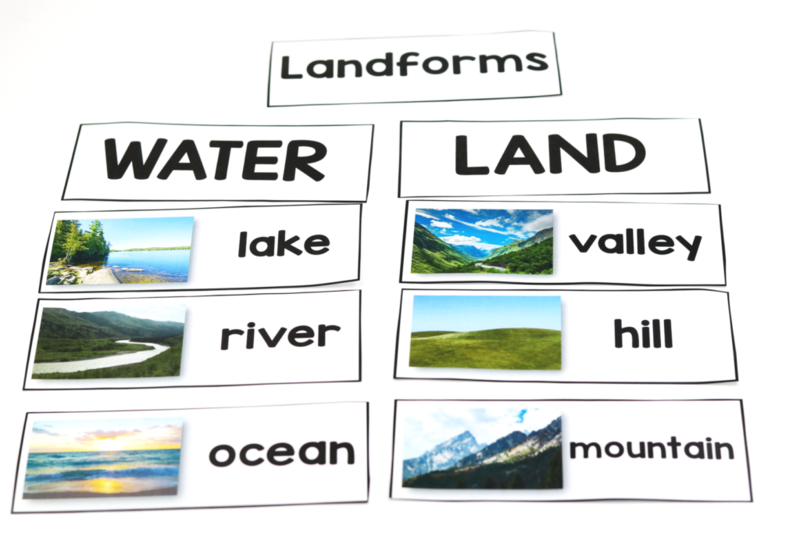 Landforms are part of unit 3 as well! 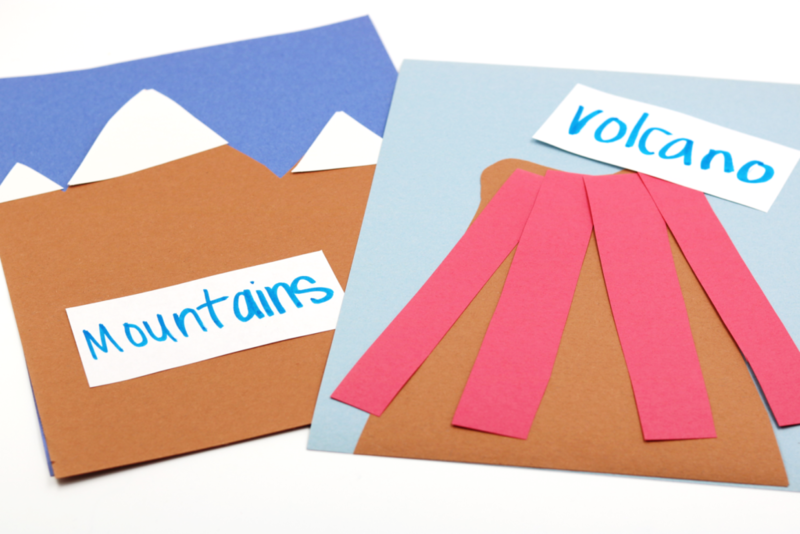 This is a fun and hands-on activity for landforms! 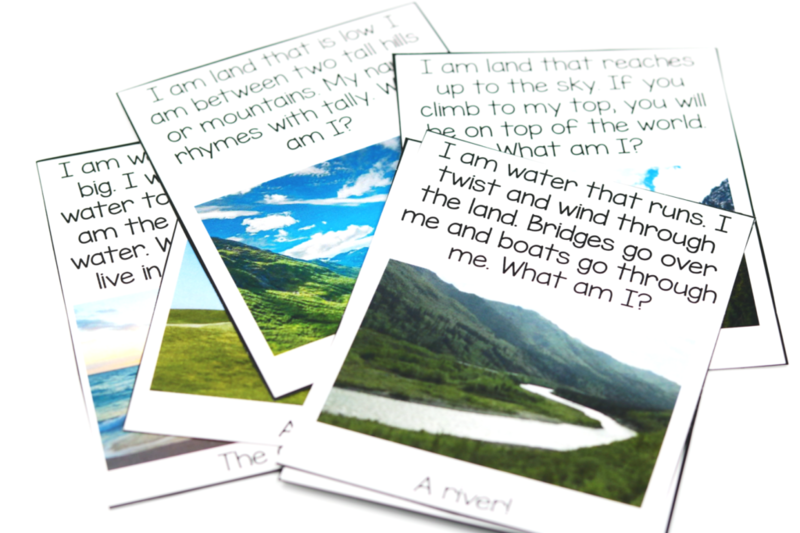 The students also have landform sort cards! 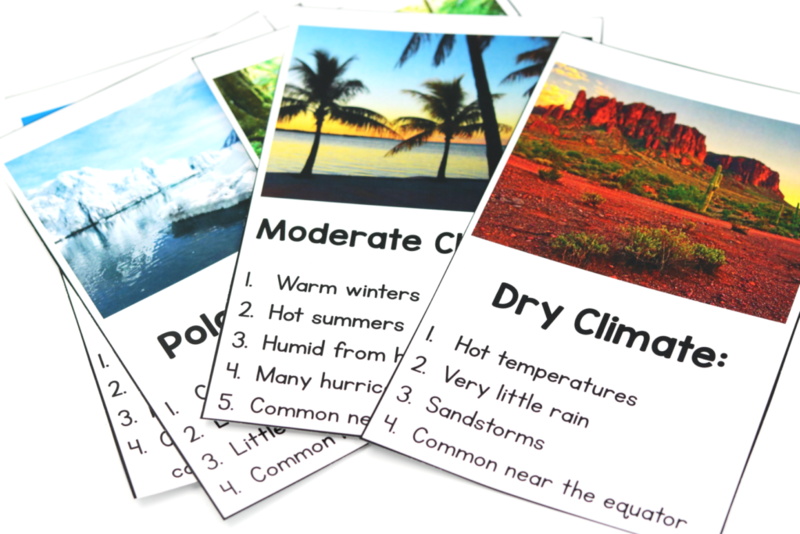 We also discuss climate in Unit 3! 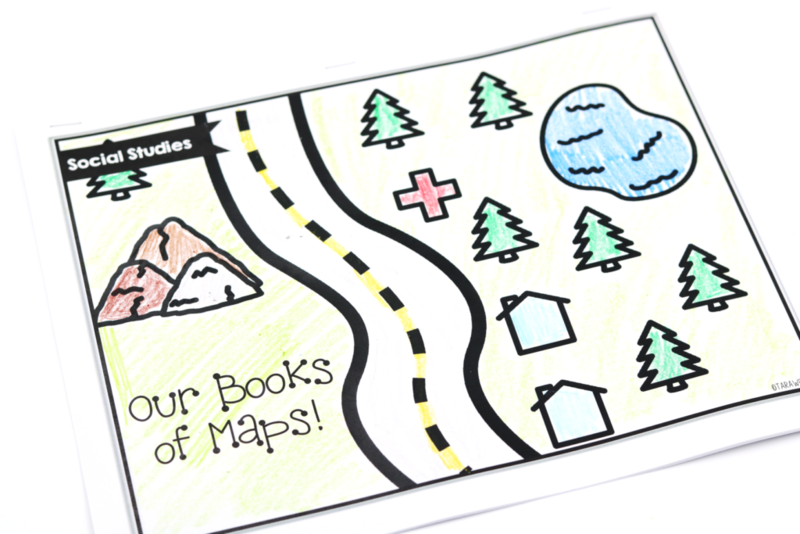 In unit 3 the kiddos also get to explore with treasure maps! 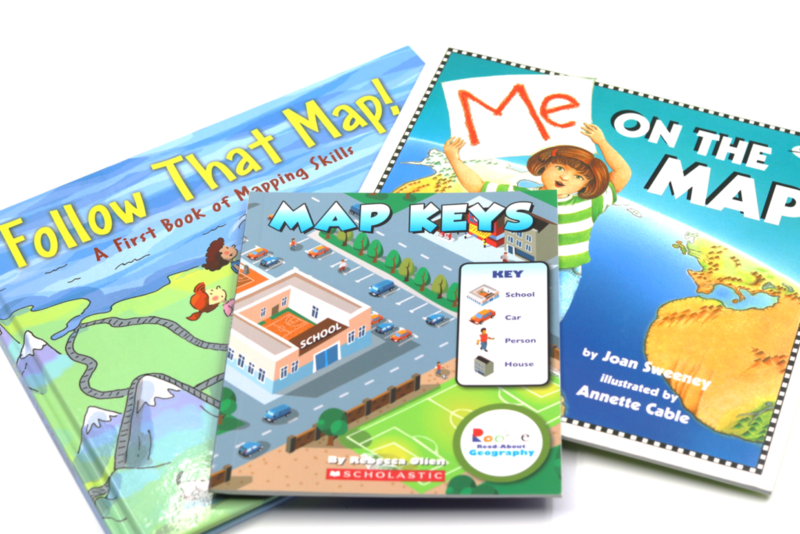 Maps keys are also important and taught in Unit 3! 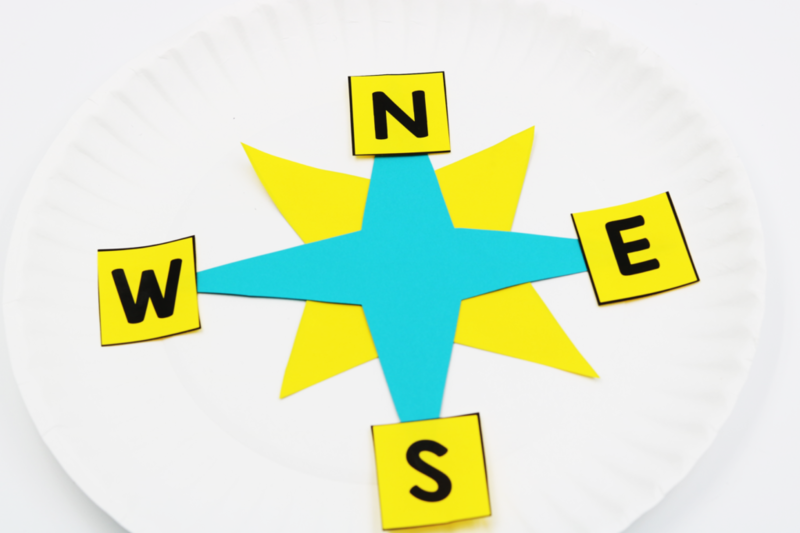 Don’t forget the compass rose! We cover that, too! 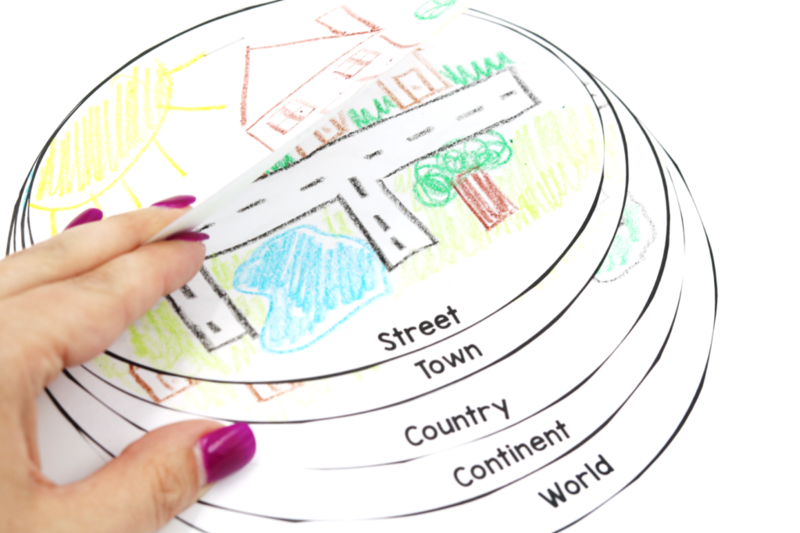 Another important skill taught in unit 3 is teaching the kiddos about “their place in the world”. Let’s take a look at Unit 4! 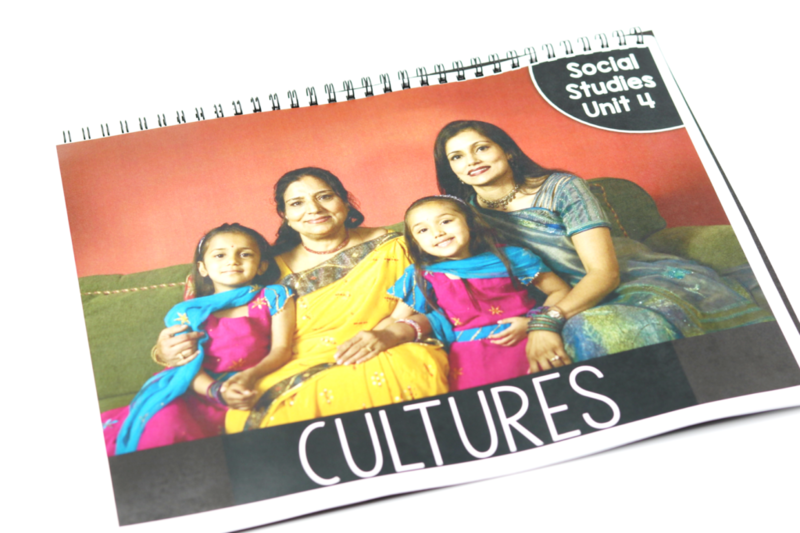 Unit 4 is all about culture and diversity! 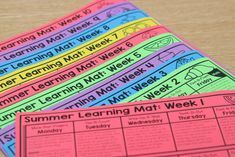 A look at the lesson plans! 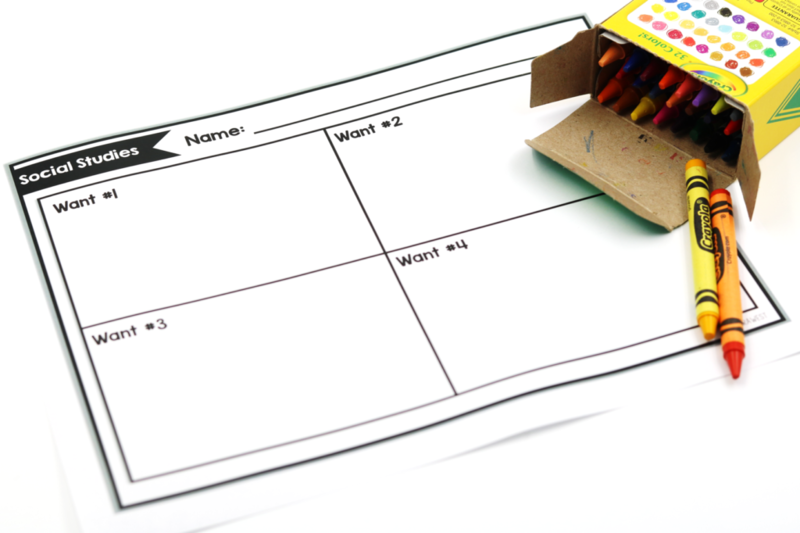 Unit 4 includes an included interactive OR custom printable book! 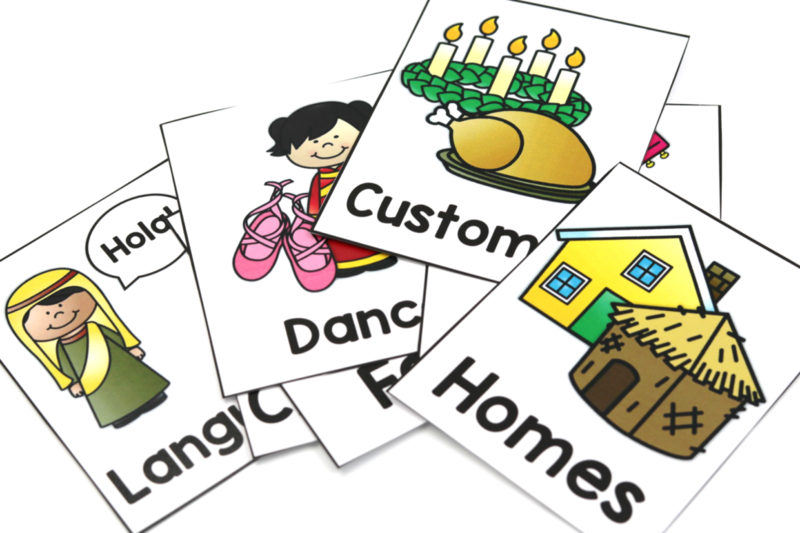 These books are written for the curriculum so they contain the week’s vocabulary words! 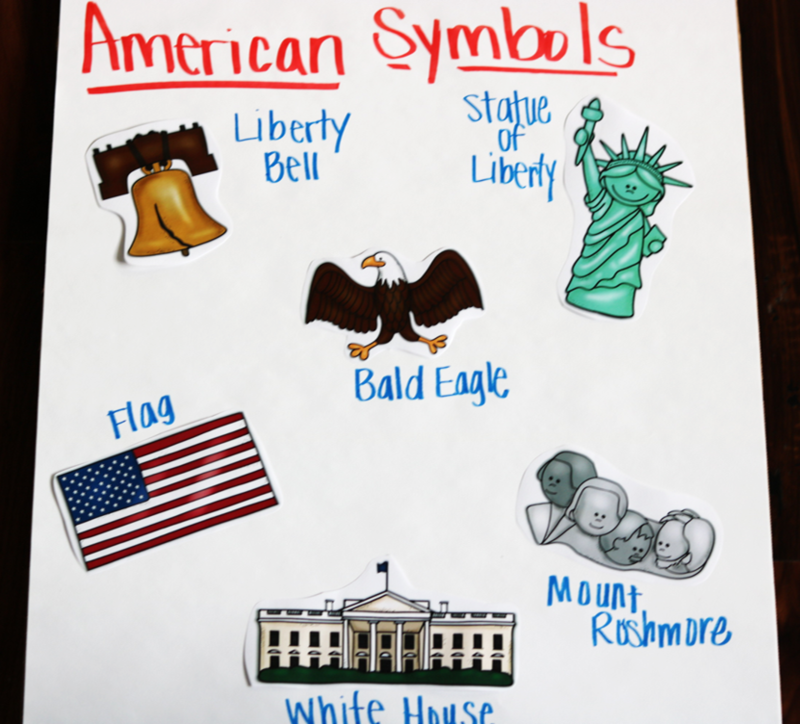 The unit includes anchor chart pieces! 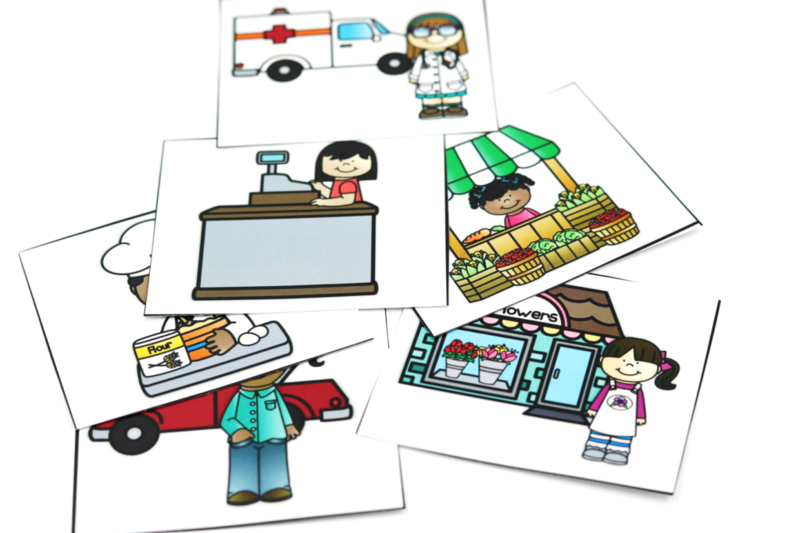 The unit includes “real life” match up cards. 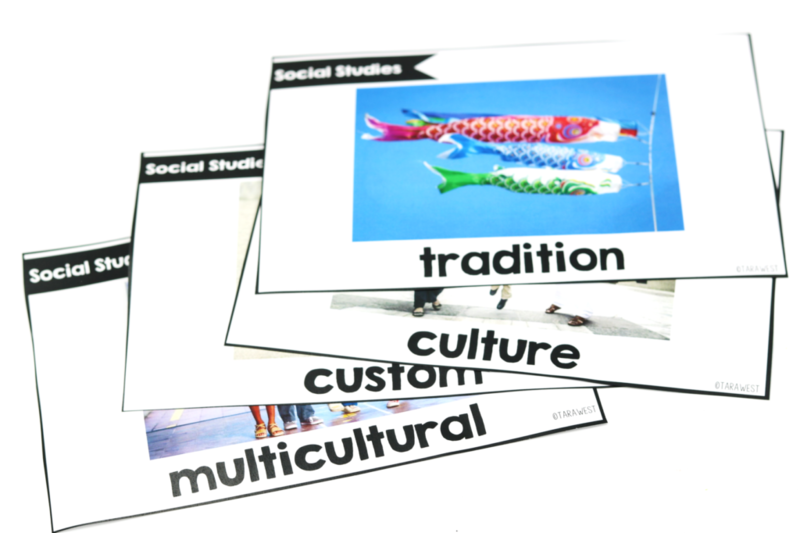 This unit is designed to introduce our students to a variety of cultures and we dive deeper into one in each category! 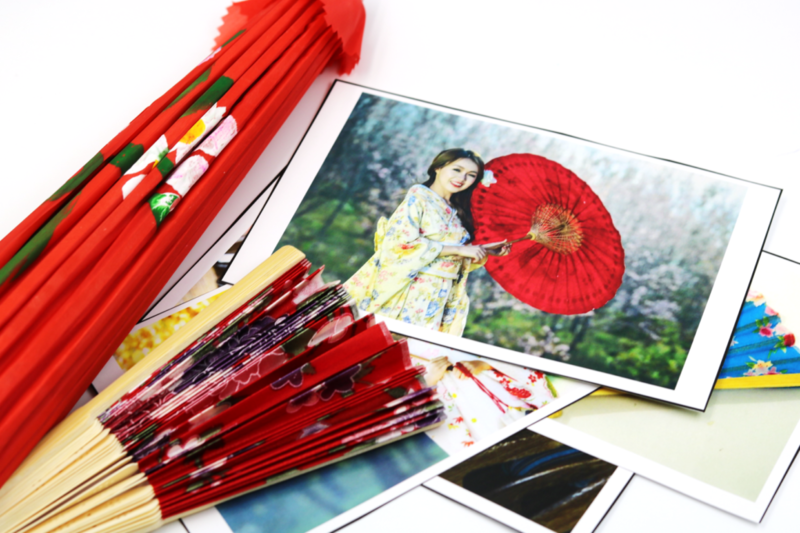 For clothing the kiddos get to learn more about the Japanese culture! 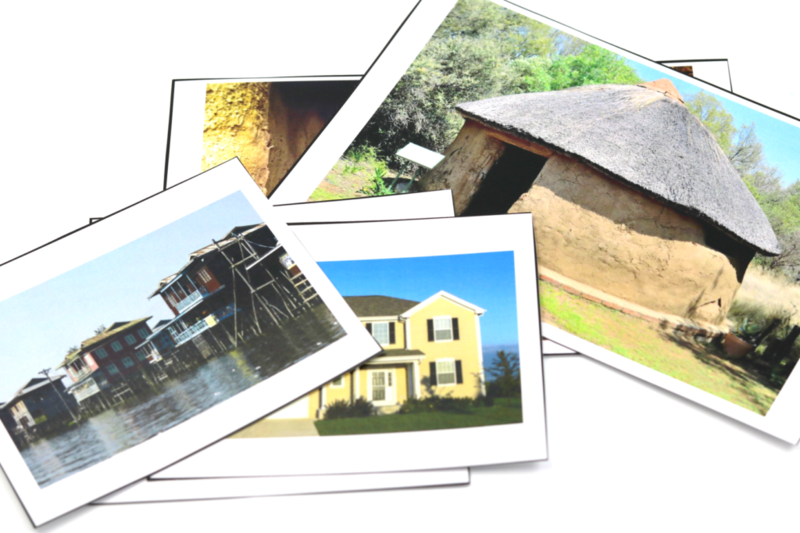 We also cover cultural homes! 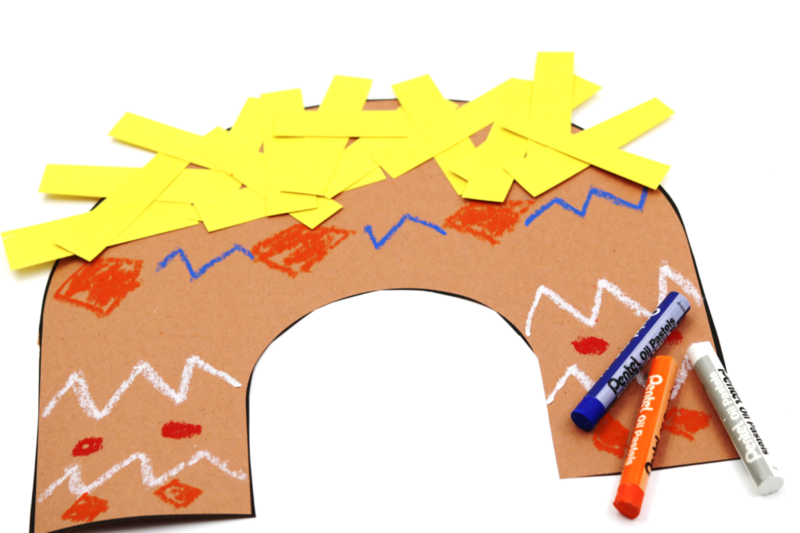 The kiddos get to create an African hut! We also cover cultural music! 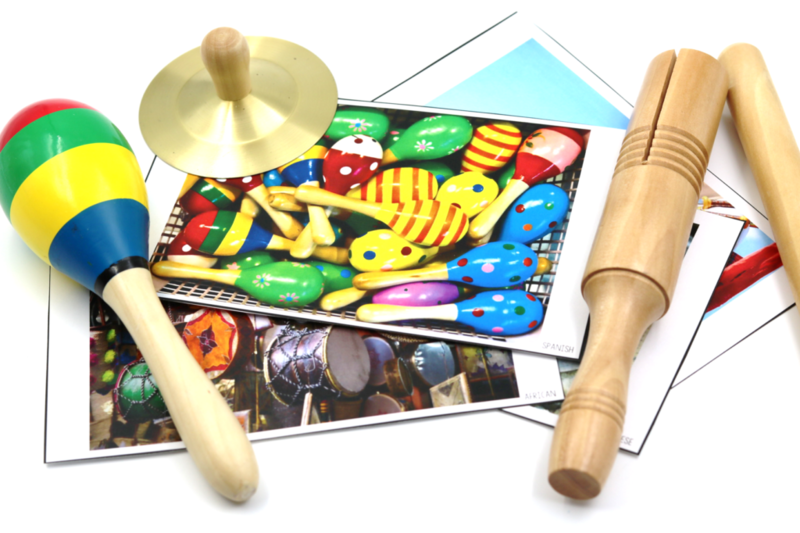 We get to make instruments, too! 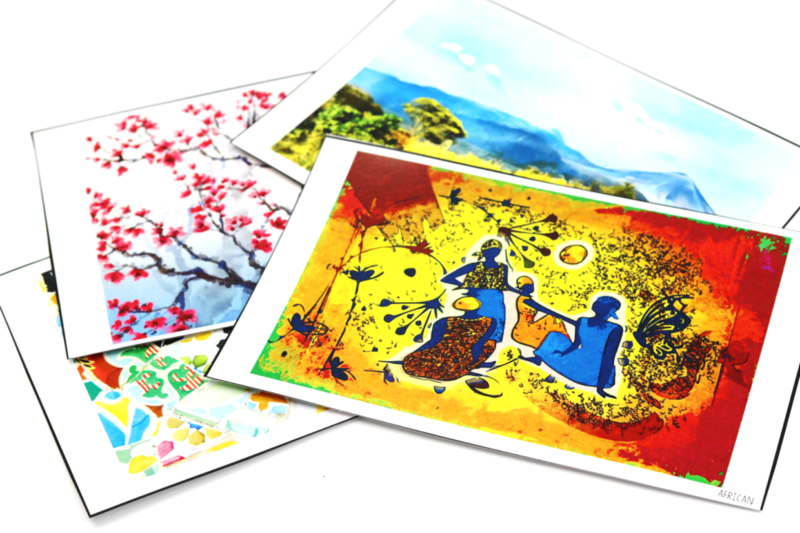 We also learn about cultural art! We can’t forget about cultural folktales! 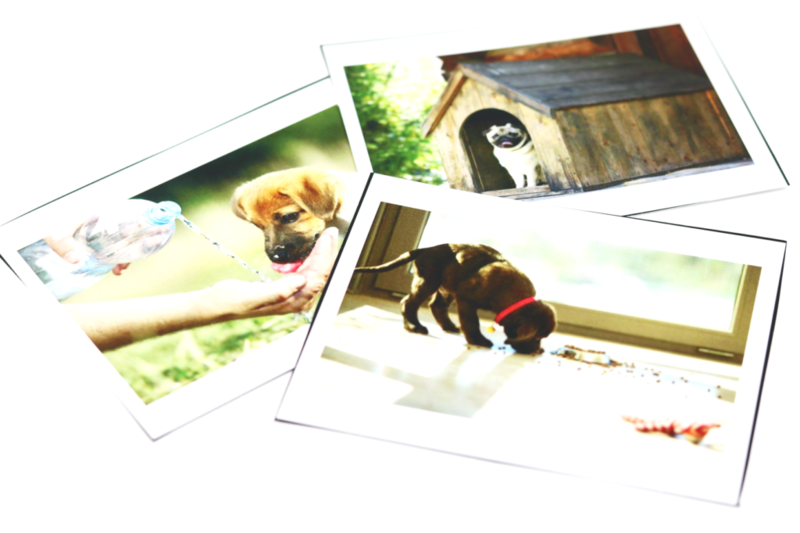 You can enter to win the texts HERE! 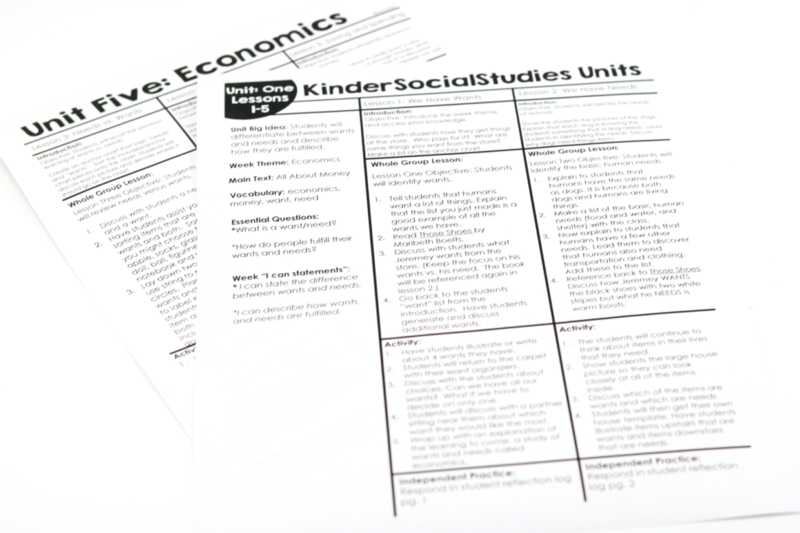 Let’s talk unit 5 of KinderSocialStudies— Economics! 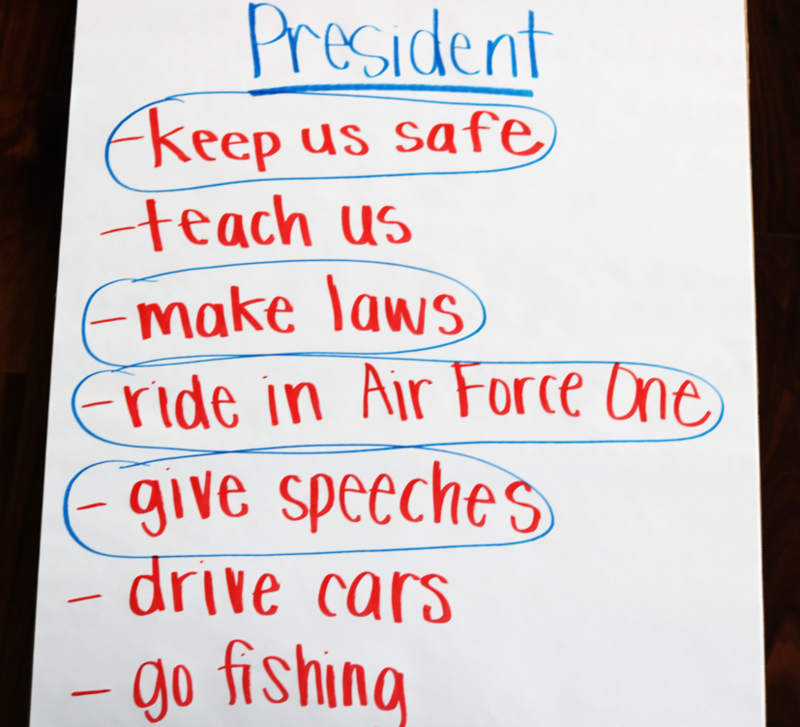 When thinking about teaching social studies to young kiddos it can see a tad bit frightening ha! 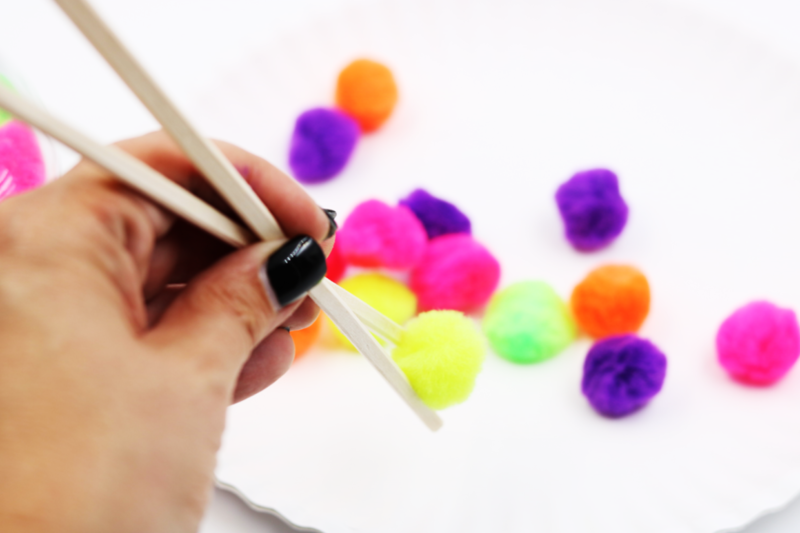 However, this unit breaks it all down for the kiddos and really turns it into an easy and fun process! 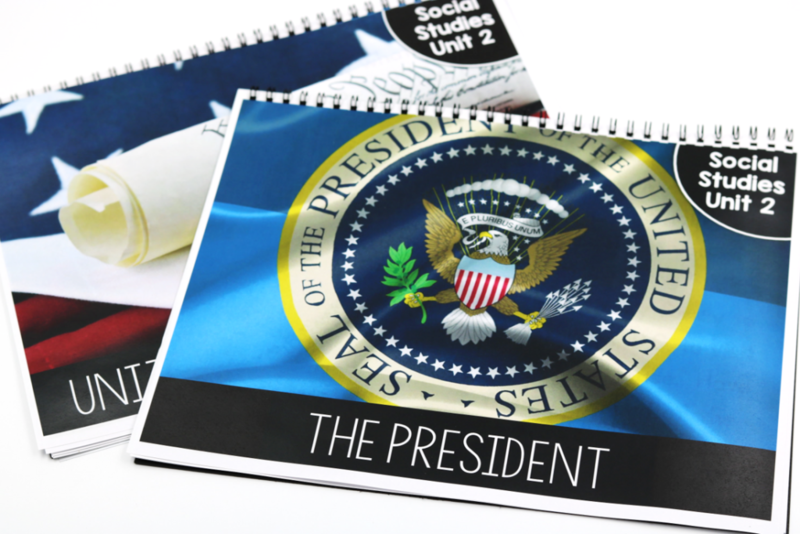 Unit 5 includes a custom book as well! 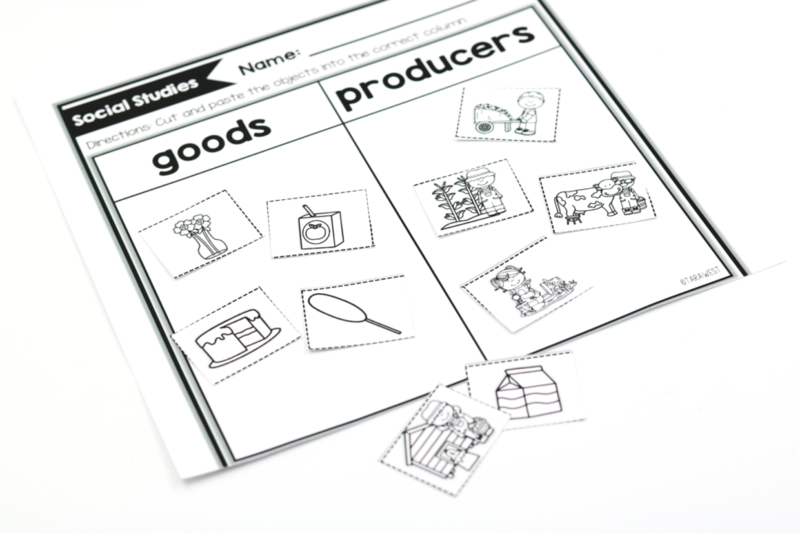 Differentiated recording sheets for K-1! 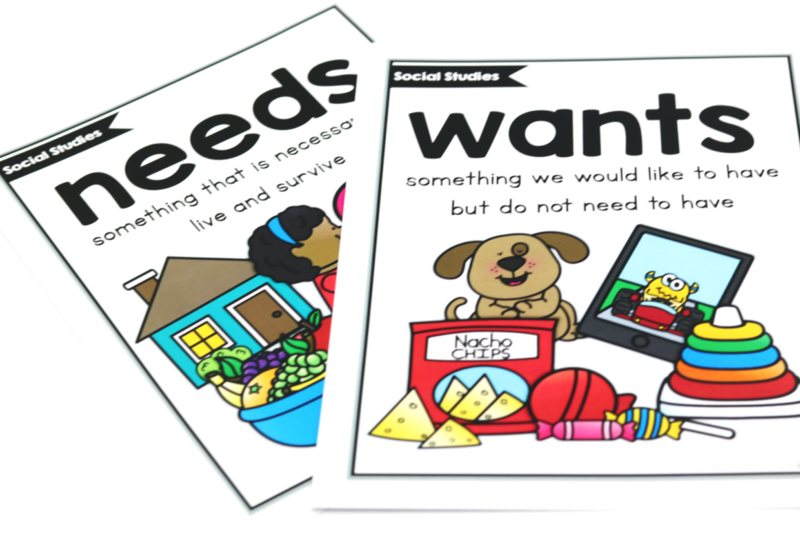 Teaching about wants and needs! 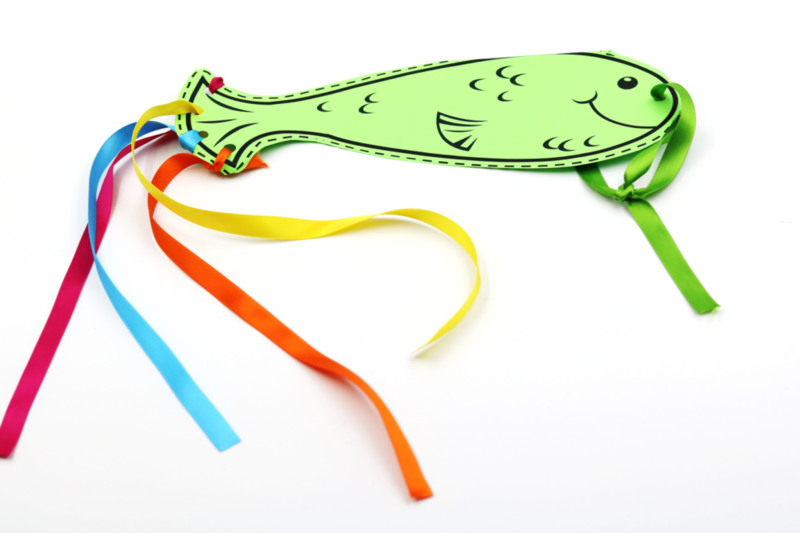 Hands-on sorts for the kiddos! 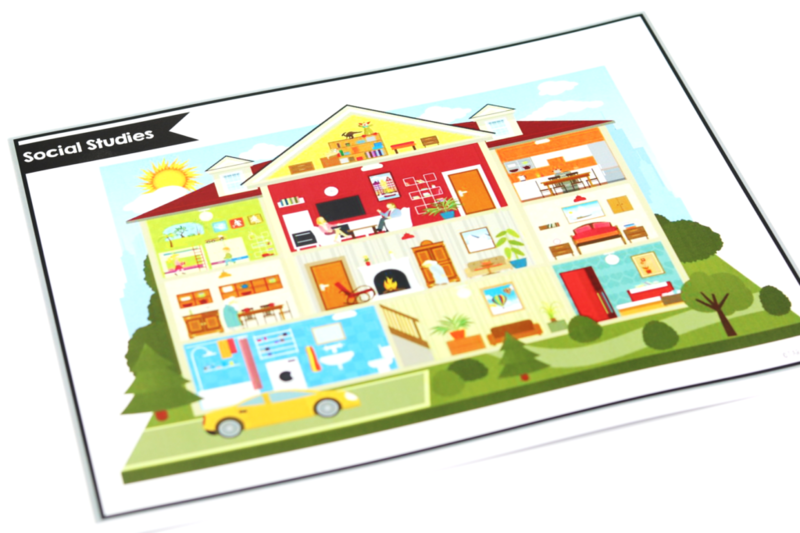 What is a want and a need inside your house? 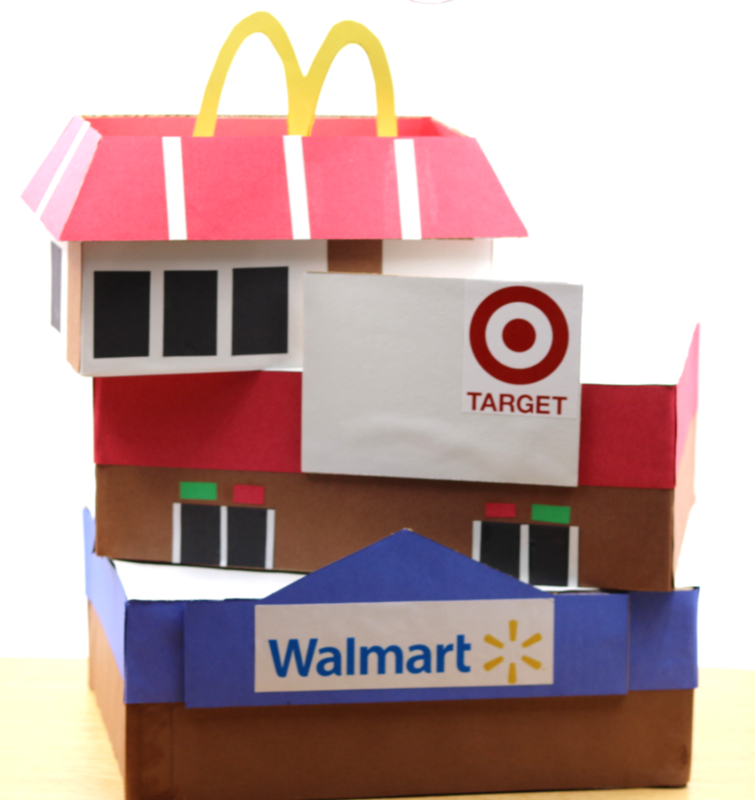 The kiddos will make their own wants/needs house! 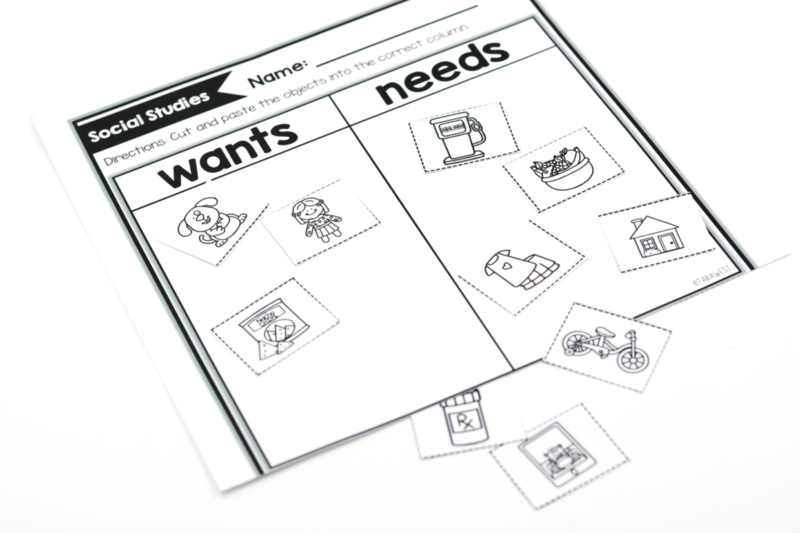 Tracking wants through a “want” organizer! 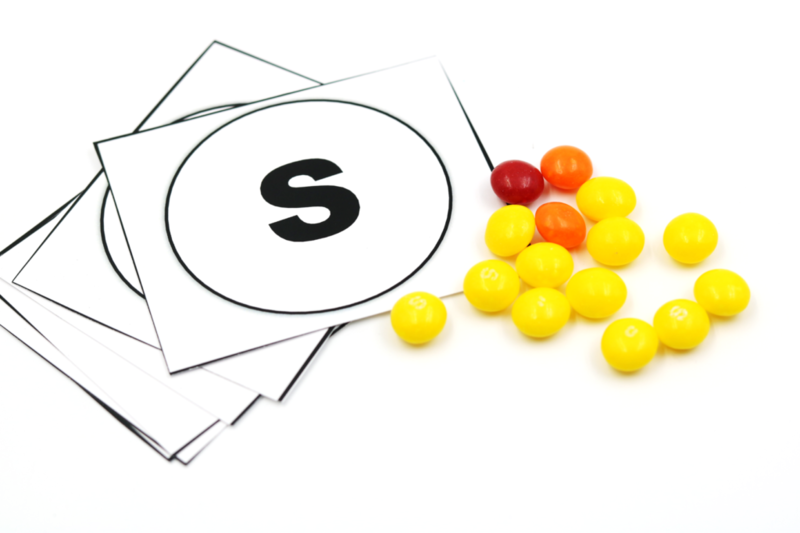 Learning about supply and demand with SKITTLES! Lots of hands-on sorts included! “Yes” or “No” “goods” sort. 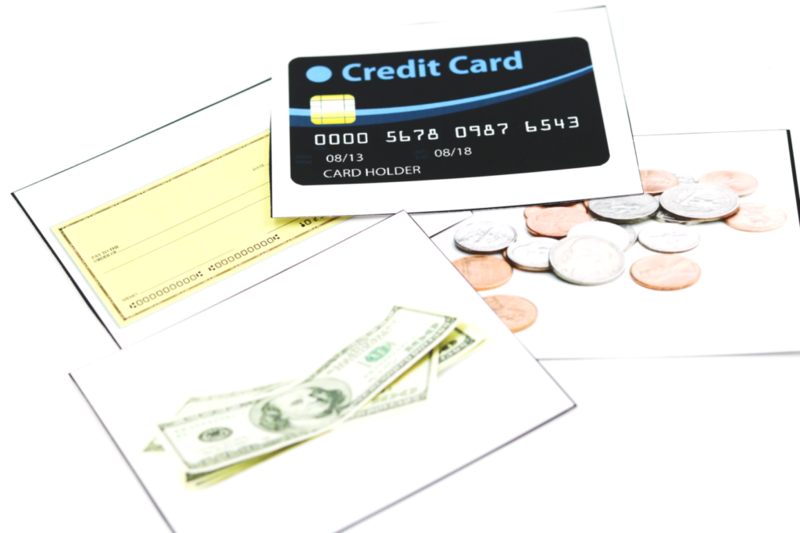 Can the consumer find their good? 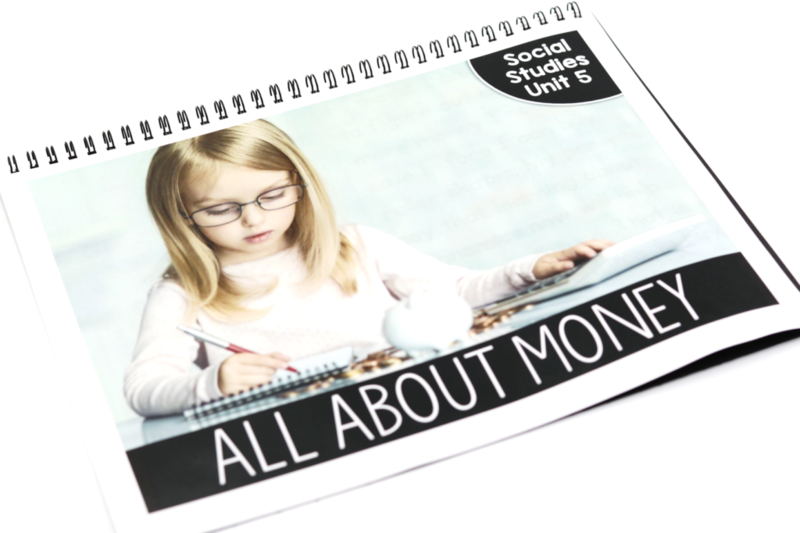 In unit 5 we learn about money and get to earn our own money! 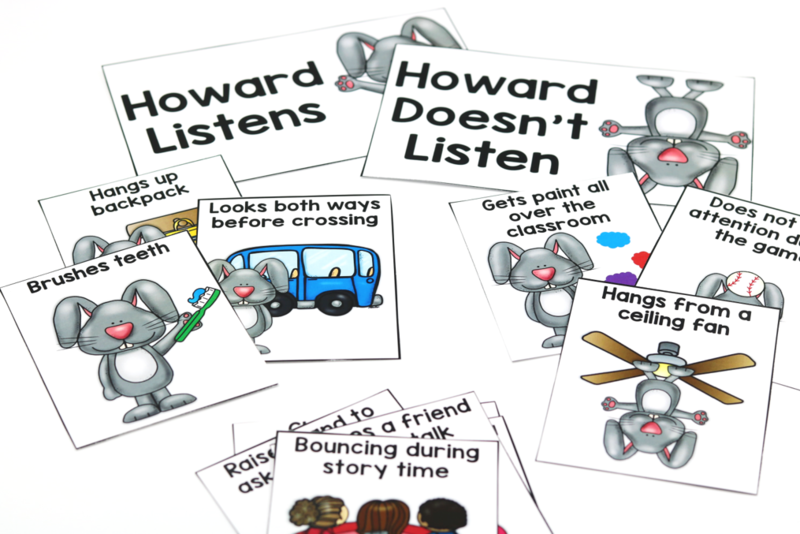 The mentor texts used in unit 5! If you would like to snag all of THIS then you can grab it on the link HERE or the picture below! HI! Love this and can not wait to use this year. I am planning on making and organizing mine just like you did. What size Iris boxes did you buy and did you find a good deal on them somwewhere. 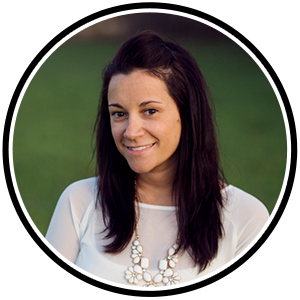 Tank you for all your hard work and helping us to be the best teachers we can be! 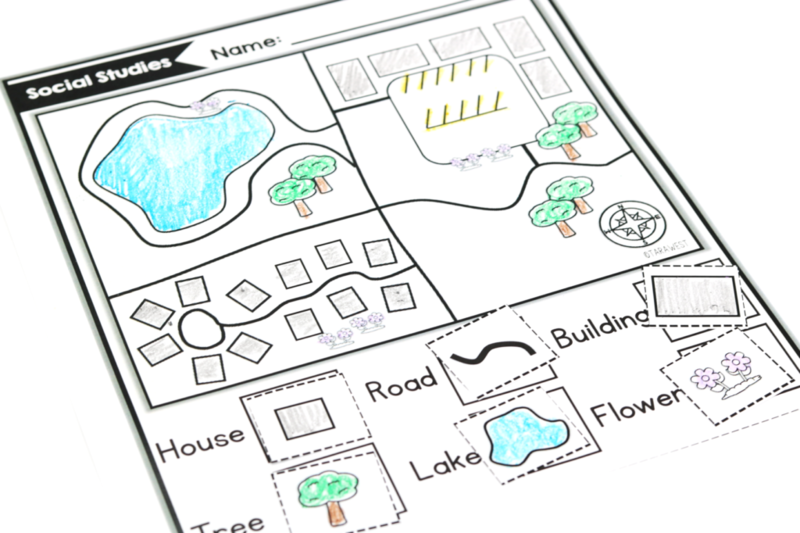 I really like how you spiral bounded the lesson plans. 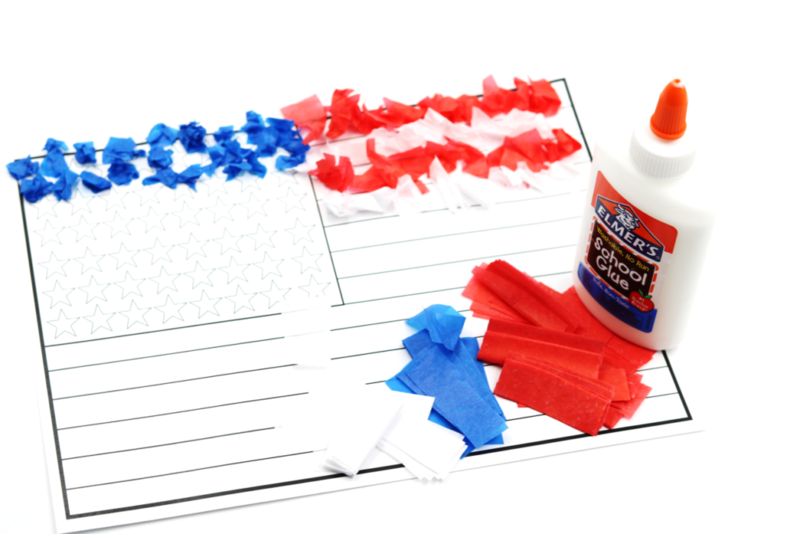 Did you have it done at a office supply store? If so, what was the cost? or Did you do it yourself? If so, how? 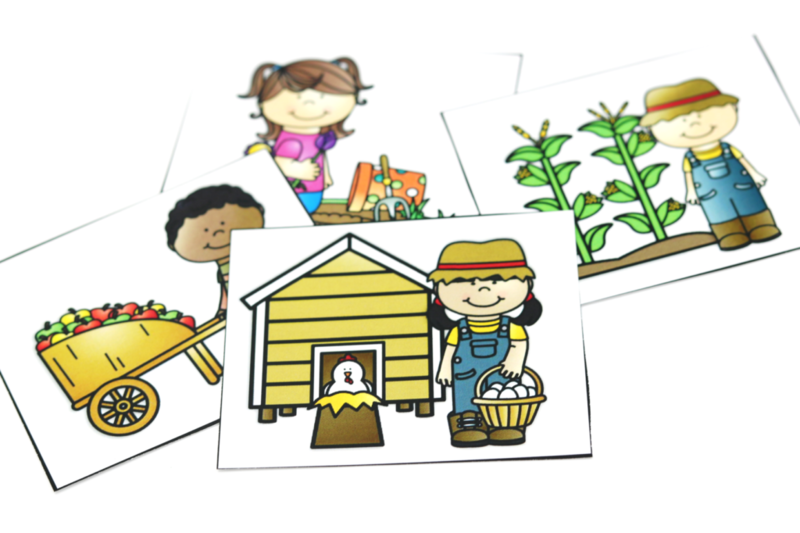 Hi – I’m a toddler teacher filling in for T-K teacher and have to come up with Social Study lesson plans. 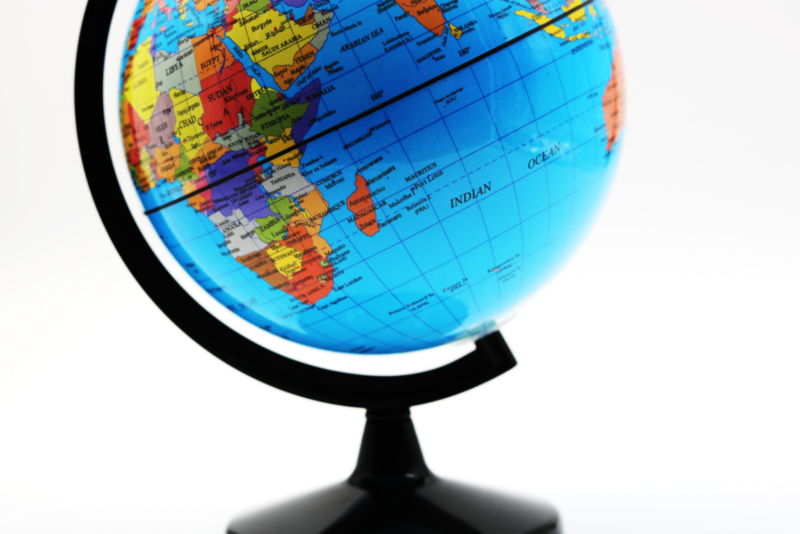 I have covered all the topics you mention (Units 1-5) We have also done the 7 continents and 5 oceans. 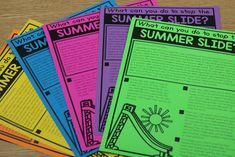 Do you have additional topics/lesson plans to offer?